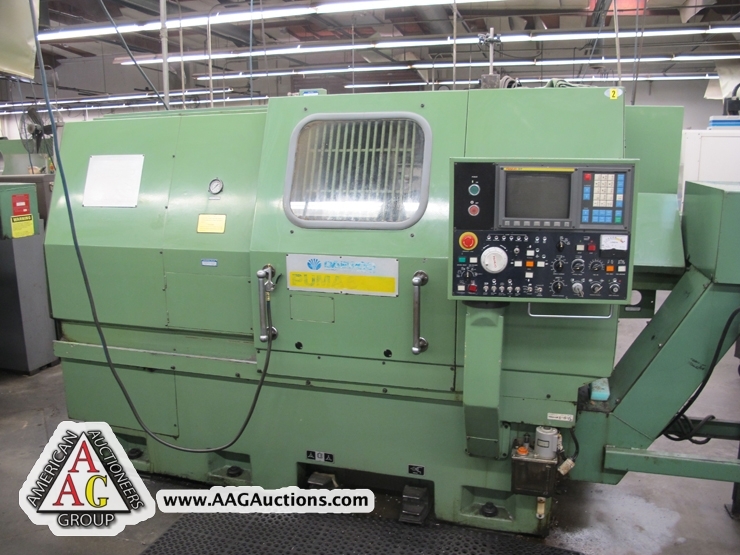 2005 YANG SL-20 CNC LATHE, 8’’ CHUCK, TAIL STOCK, 8 POSITION TURRET, FANUC O-TD. 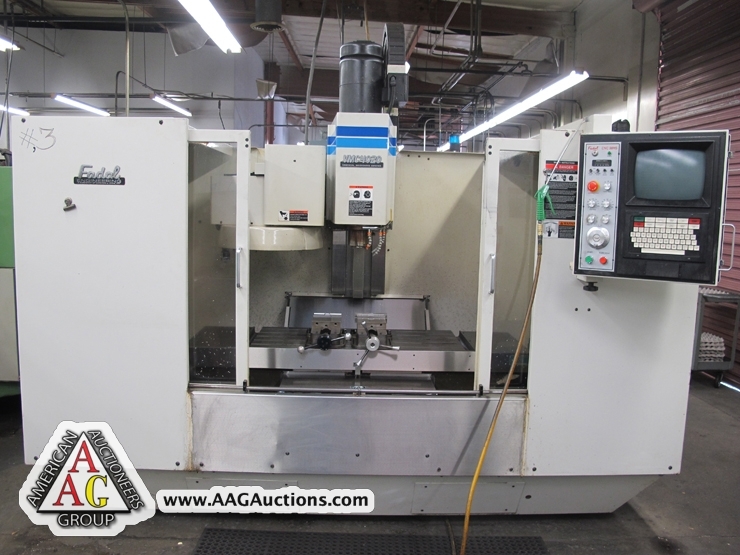 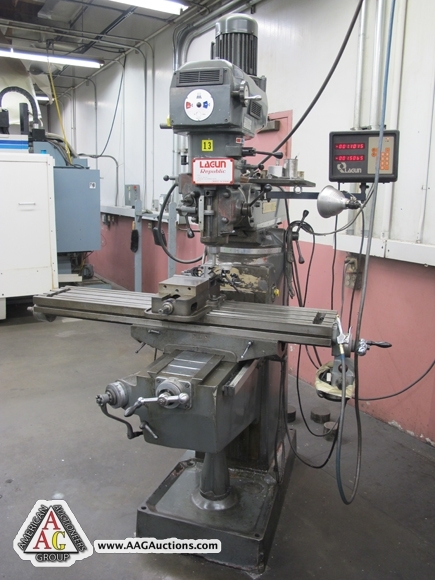 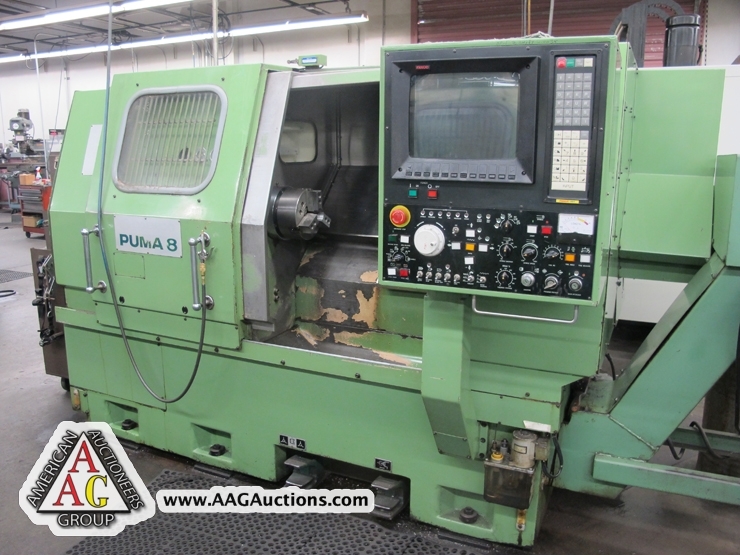 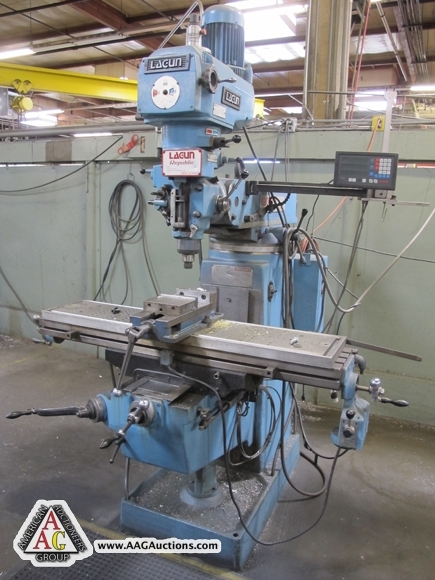 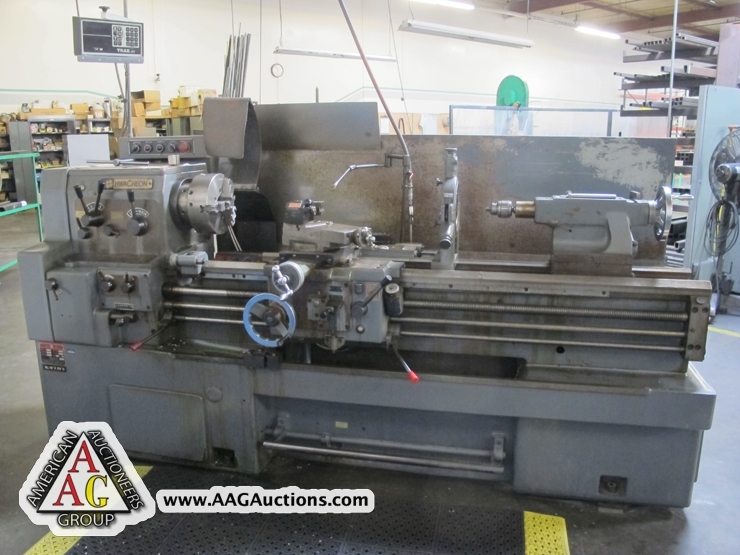 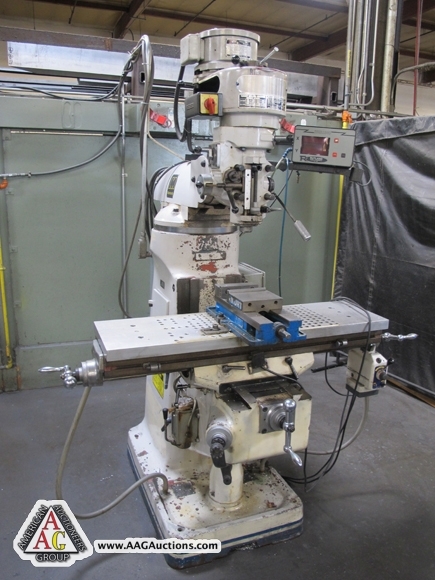 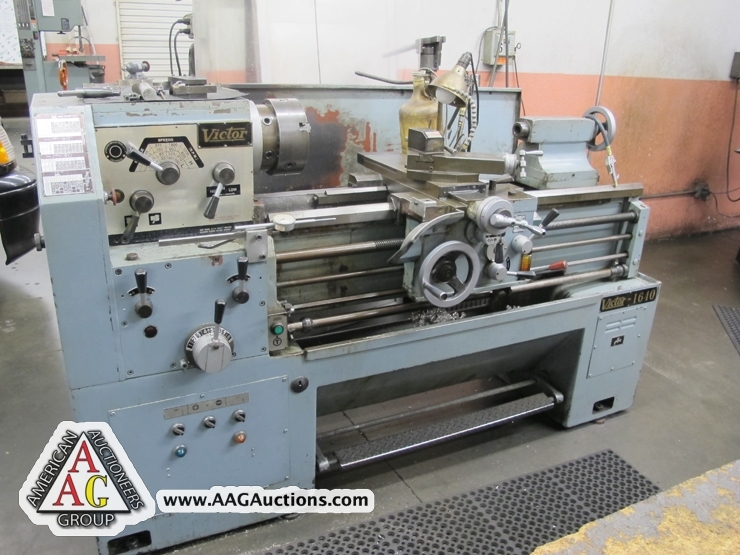 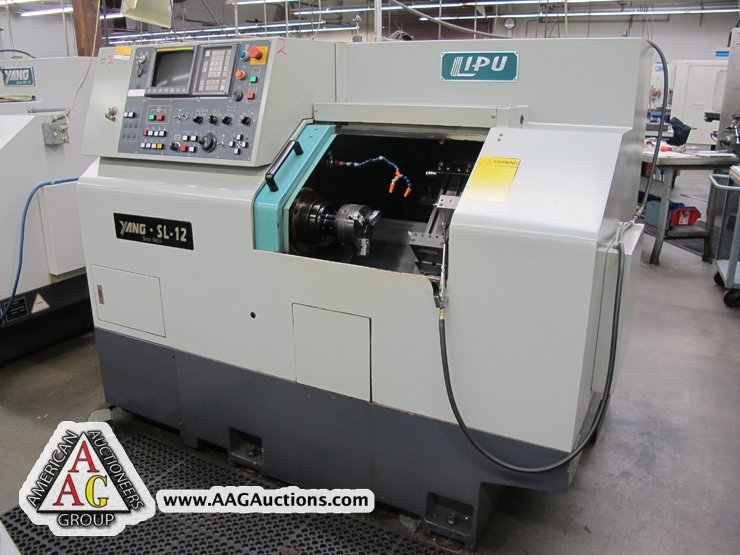 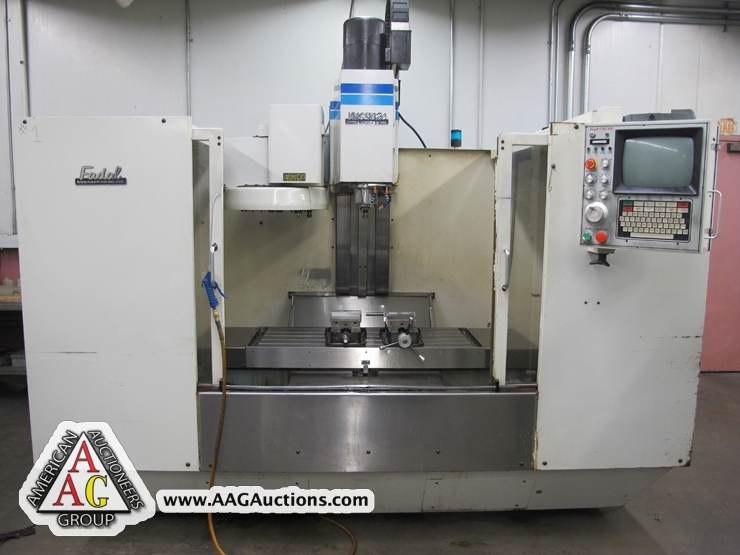 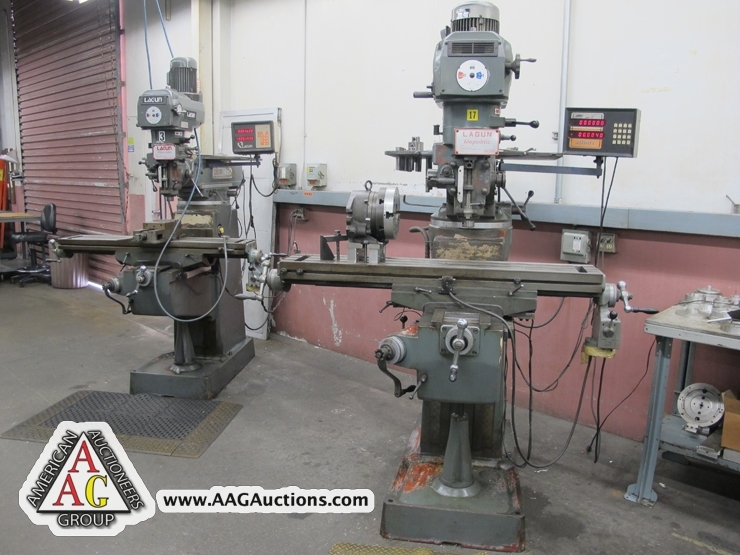 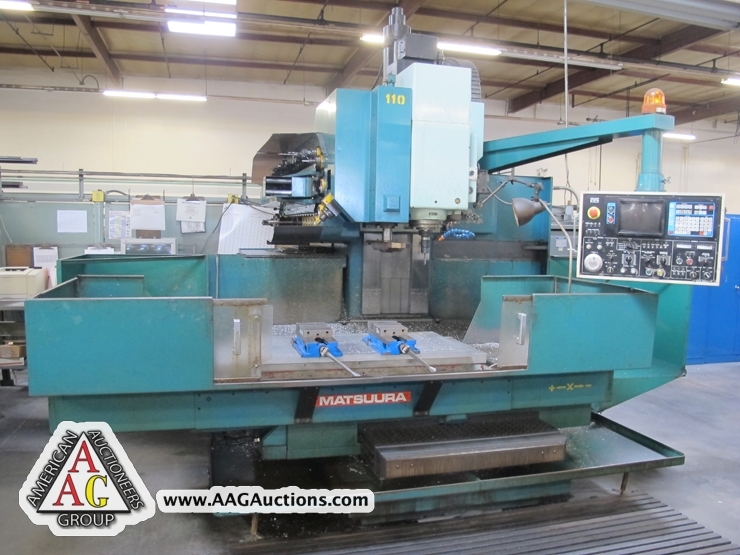 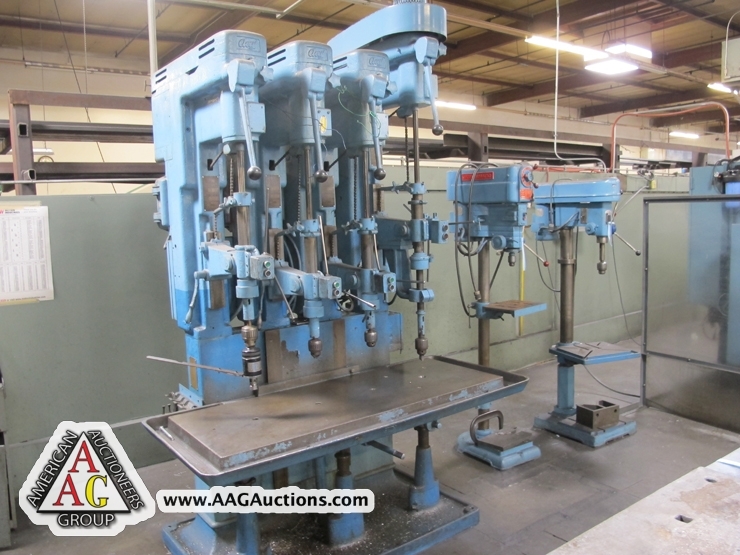 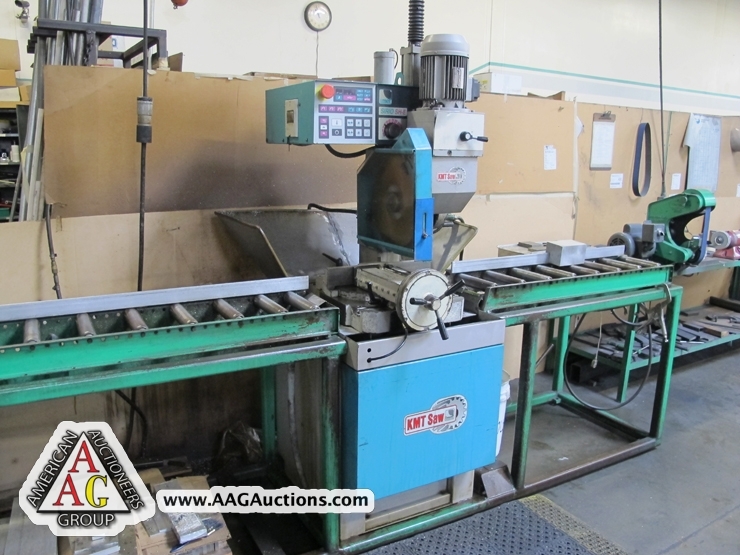 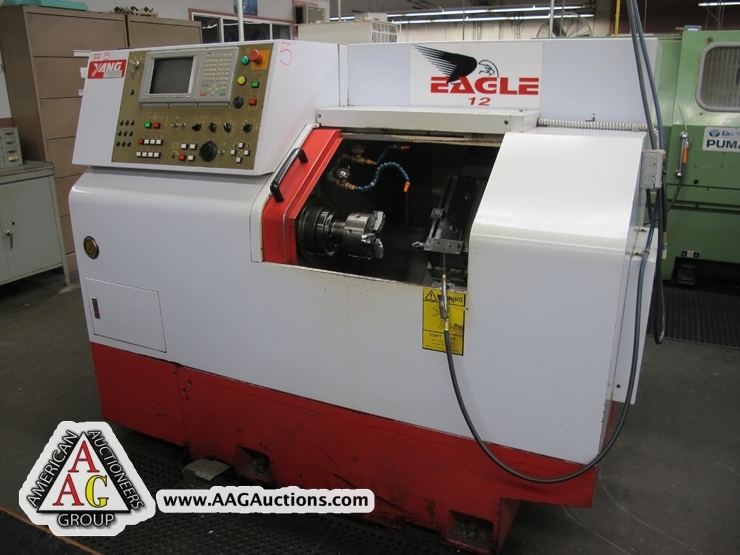 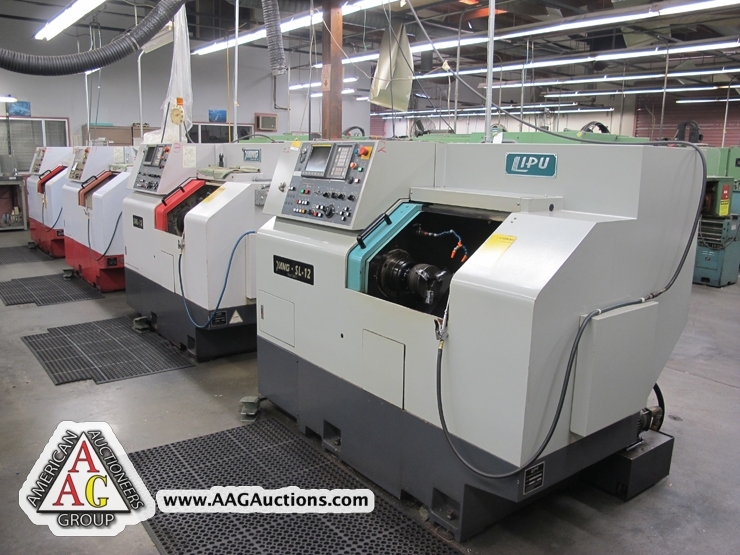 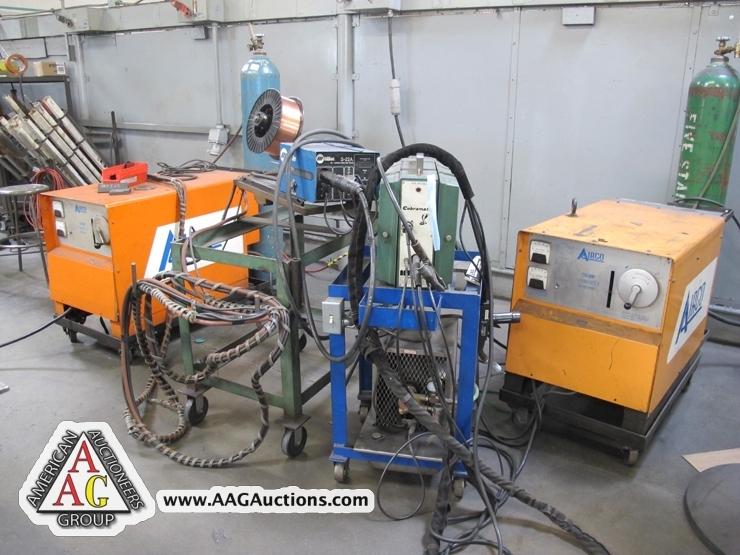 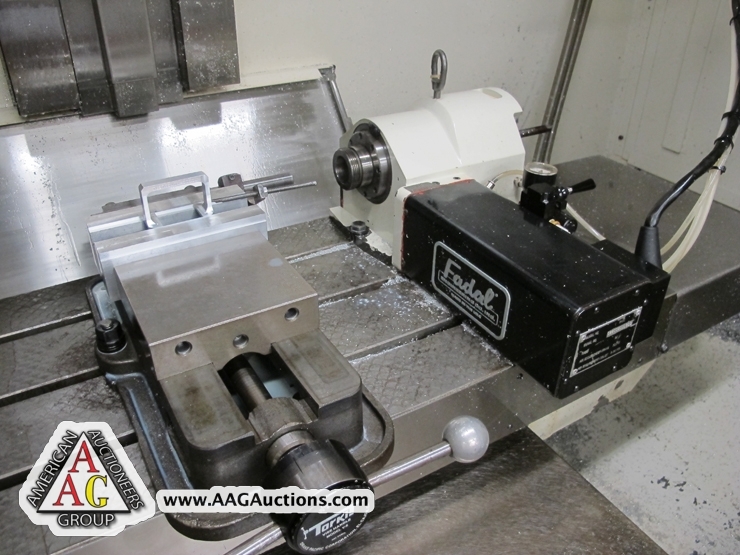 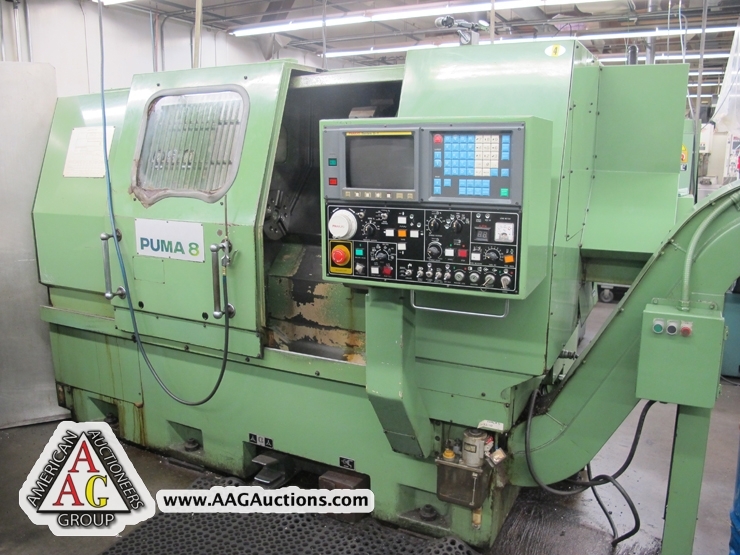 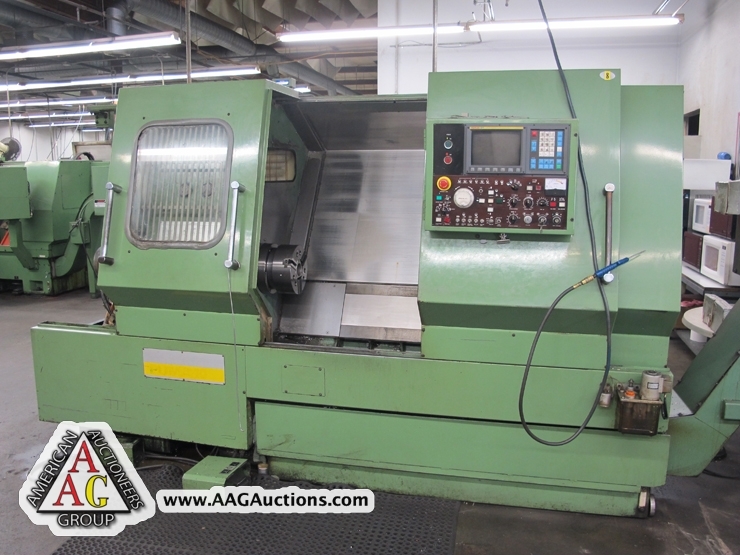 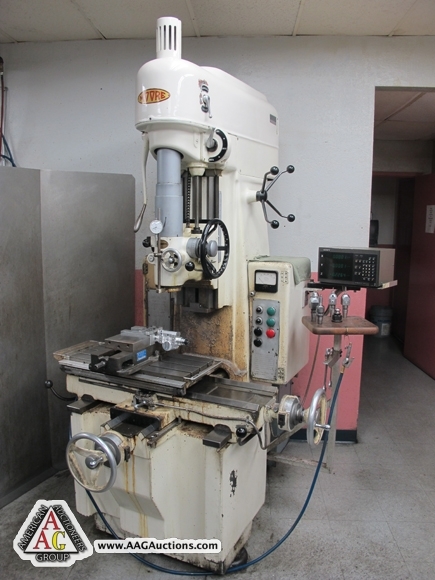 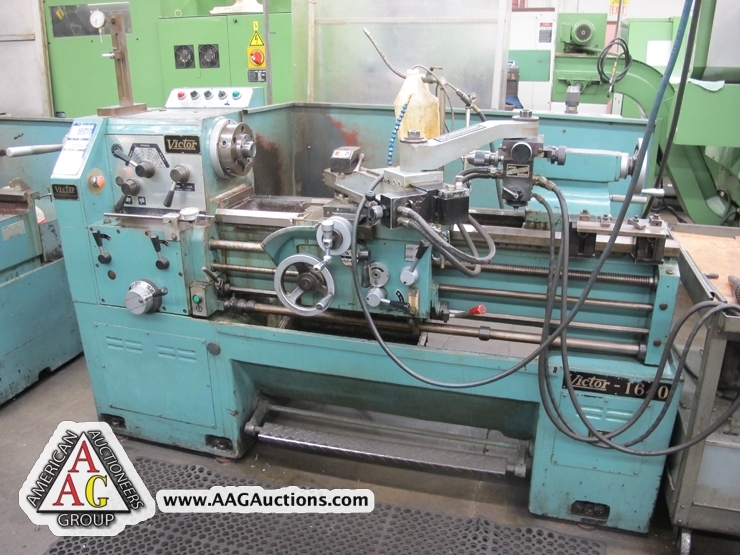 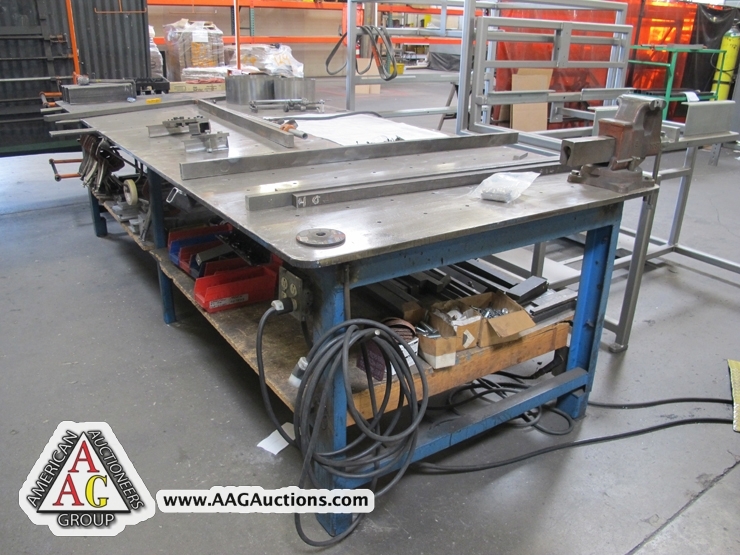 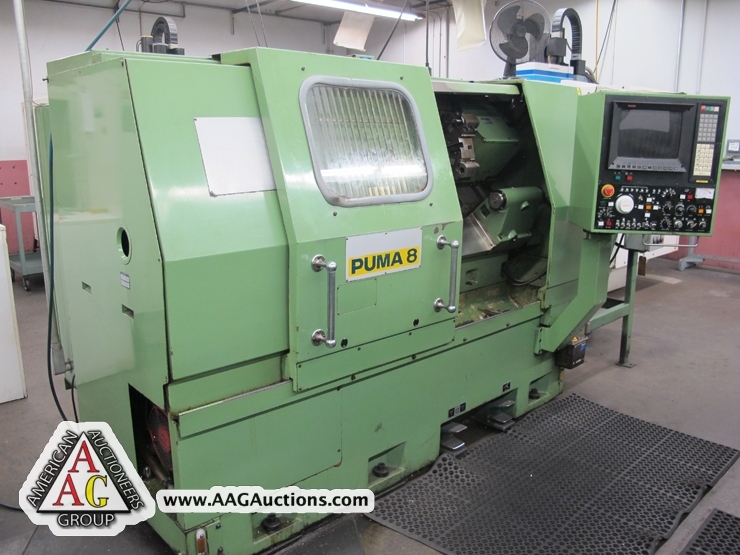 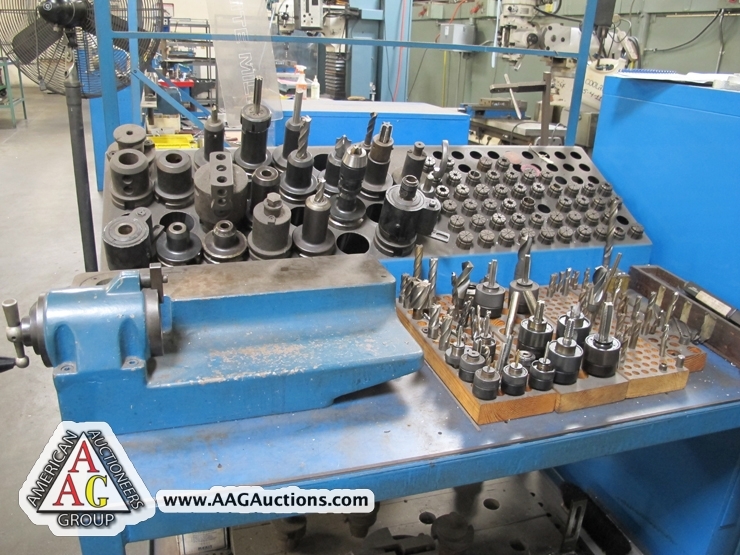 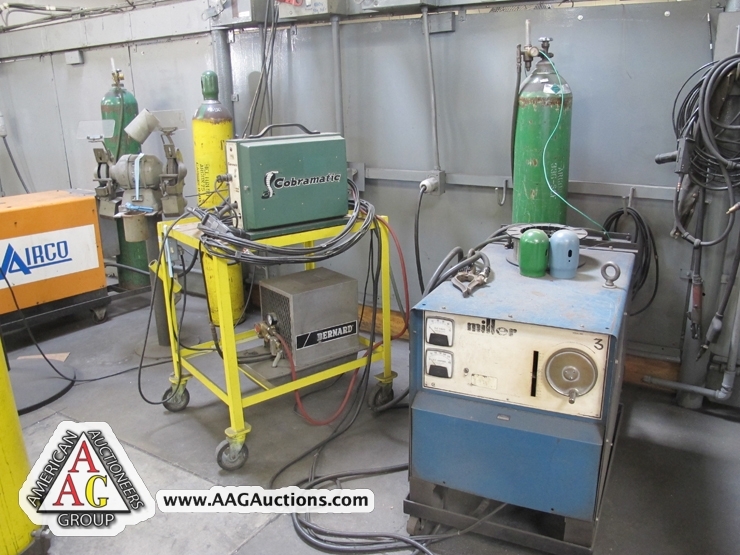 2002 YANG SL-12 CNC GANG TOOL LATHE, 6’’ CHUCK, W/ FANUC OTD CONTOL, S/N AV-04-100. 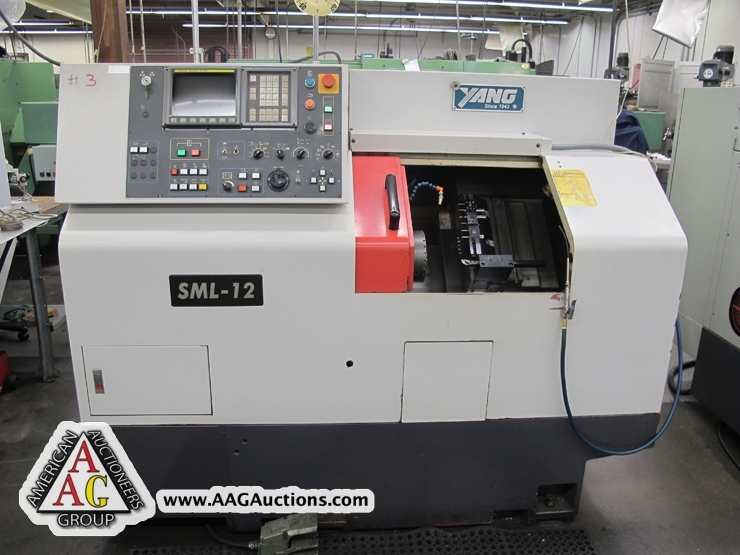 2000 YANG SML-12 CNC GANG TOOL LATHE, W/ FANUC O-TD CONTROL, S/N 00628. 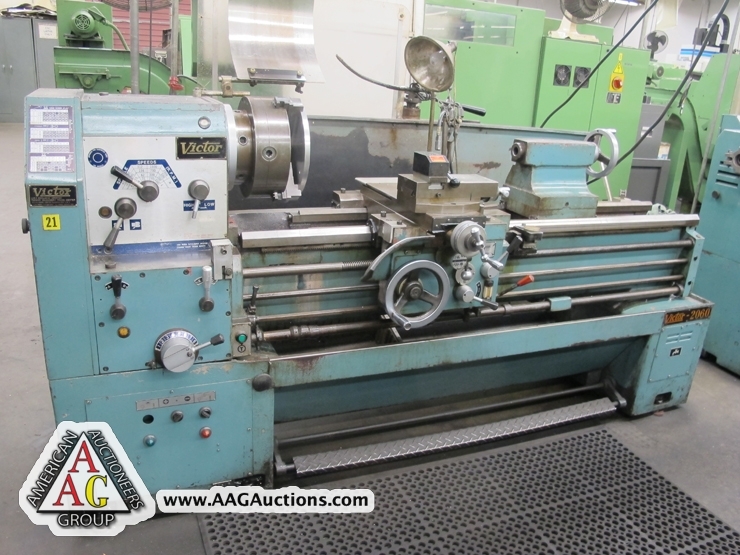 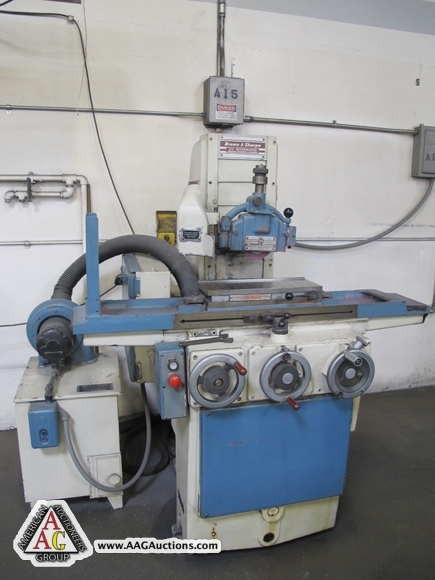 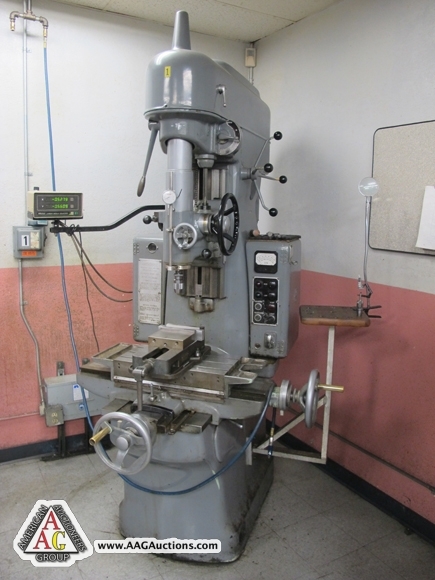 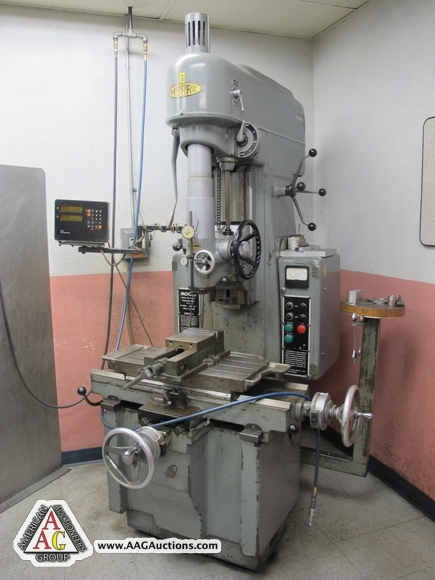 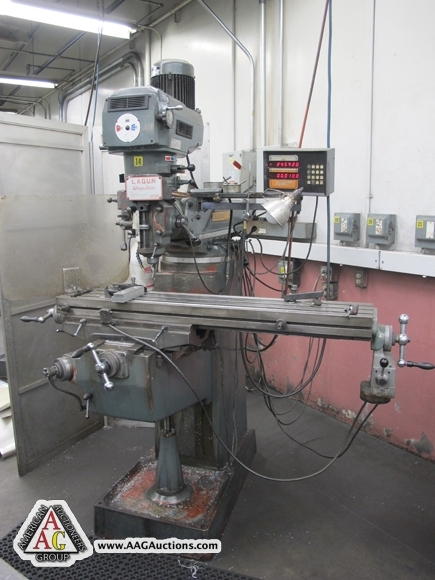 1997 YANG 9L-12 CNC GANG TOOL LATHE, WITH 6’’ CHUCK, MITSUBISHI CONTROL. 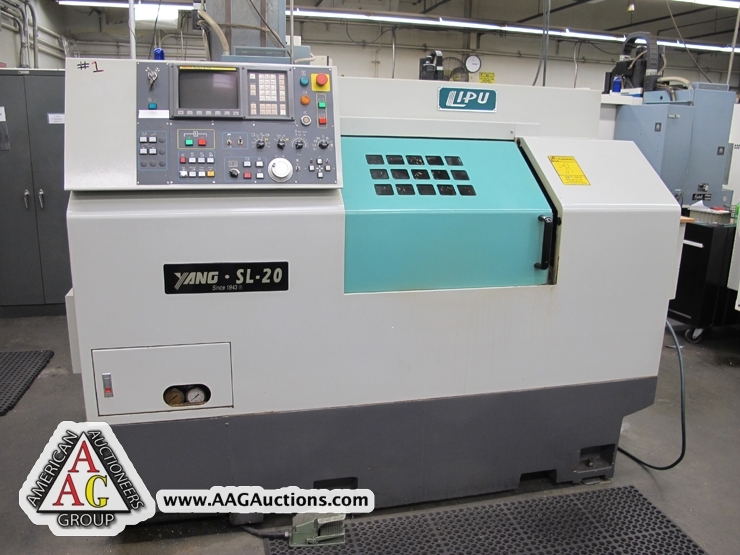 1997 YANG SML-12 CNC GANG TOOL LATHE, 6’’ CHUCK, MITSUBISHI CONROL. 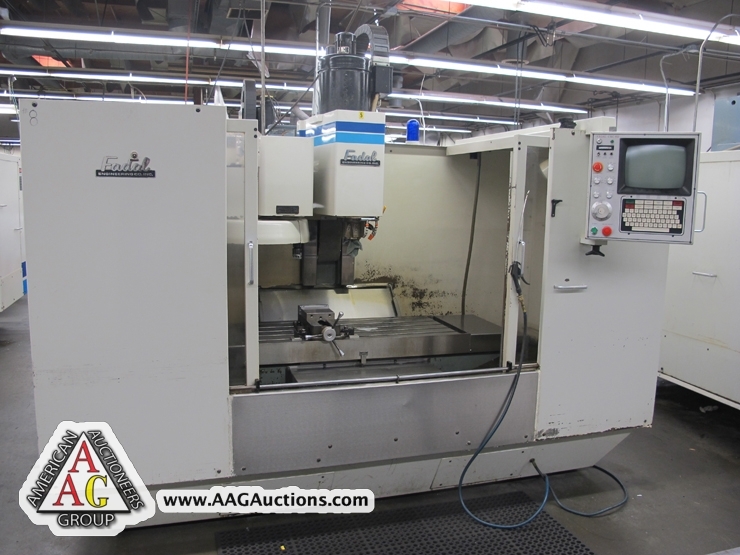 4) DAEWOO PUMA 8 CNC LATHES, 8’’ CHUCK, FANUC OT CONTROL, TAIL STOCK, 12 POSITION TURRET, CHIP CONVEYOR, 2 AXIS. 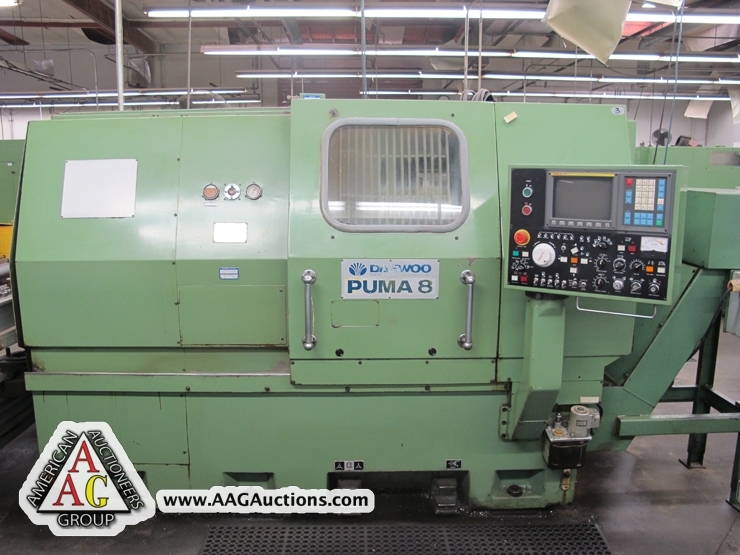 3)DAEWOO PUMA 8 CNC LATHE, 8’’ CHUCK, FANUC 10T CONTROL, TAIL STOCK, 12 POSITION TURRET, CHIP CONVEYOR, 2 AXIS. 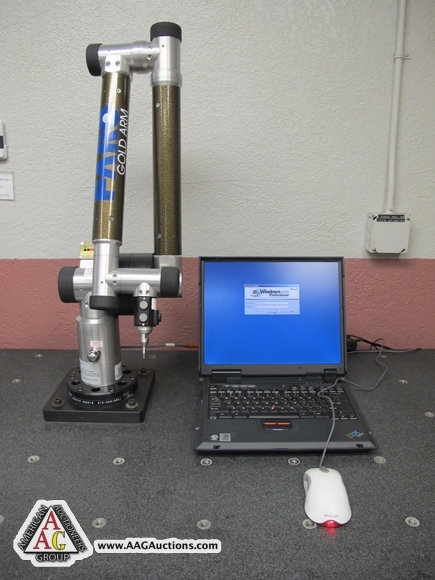 2000 FARO ARM GOLD CMM WITH PROBE, COMPUTER AND CONTROL. 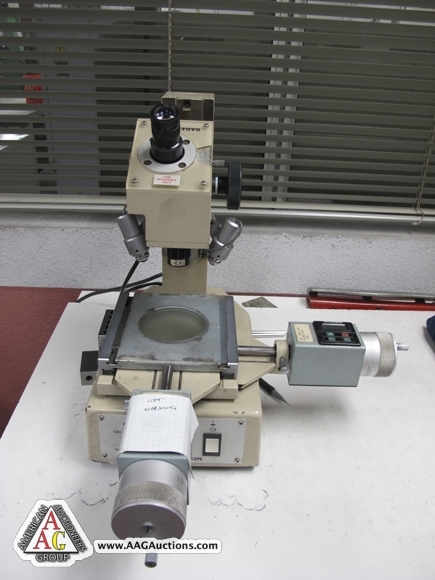 BROWN AND SHARPE MICRO VAL CMM. 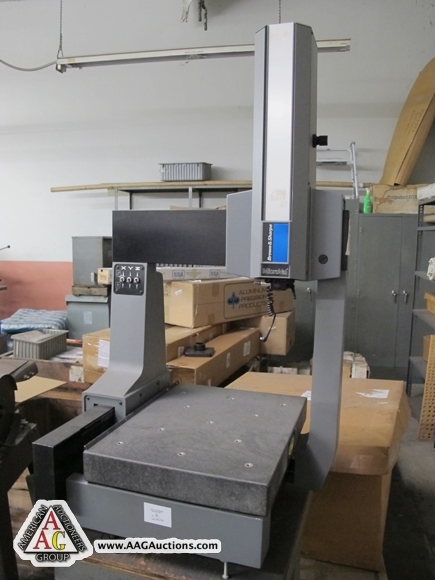 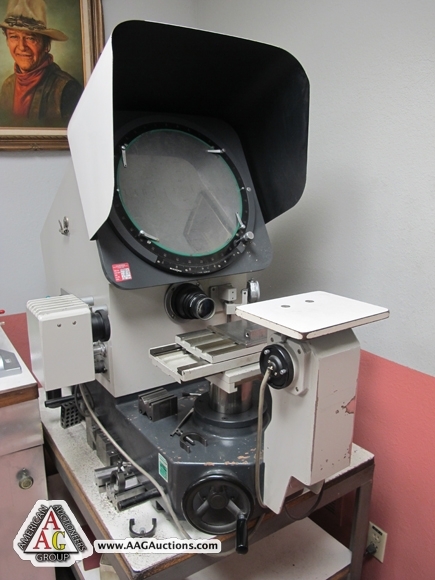 MITUTOYO PH 350, 14’’ OPTICAL COMPARATOR. 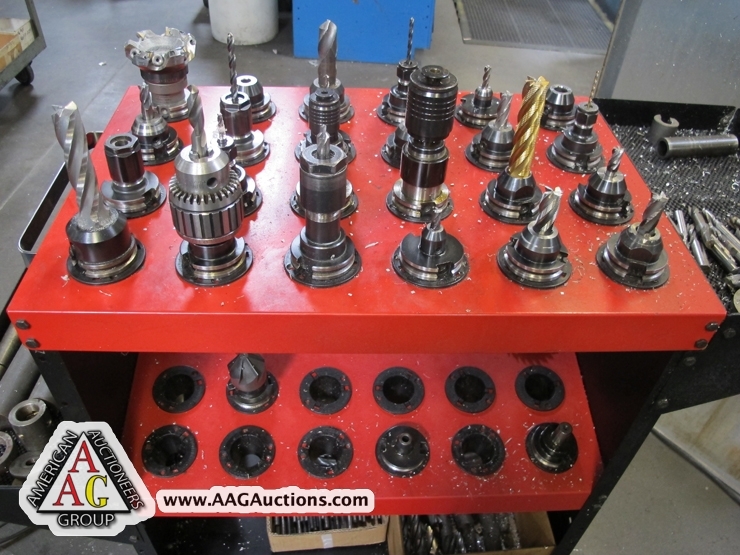 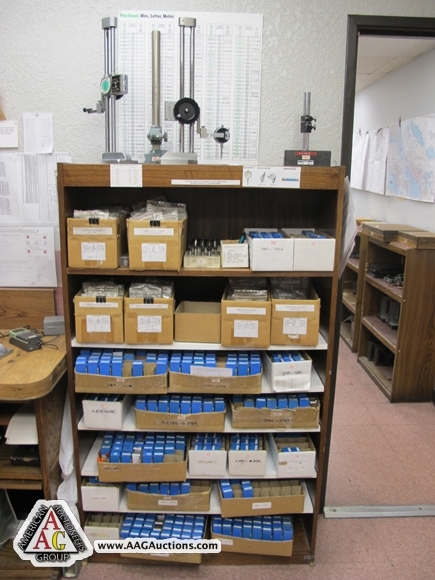 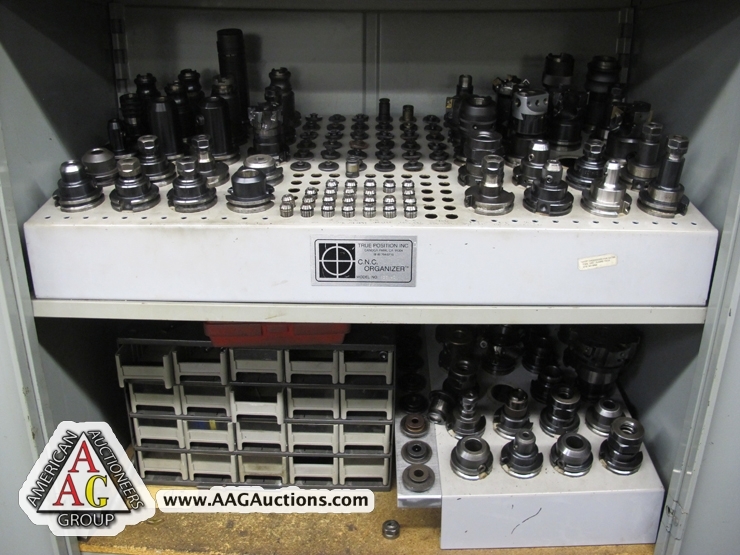 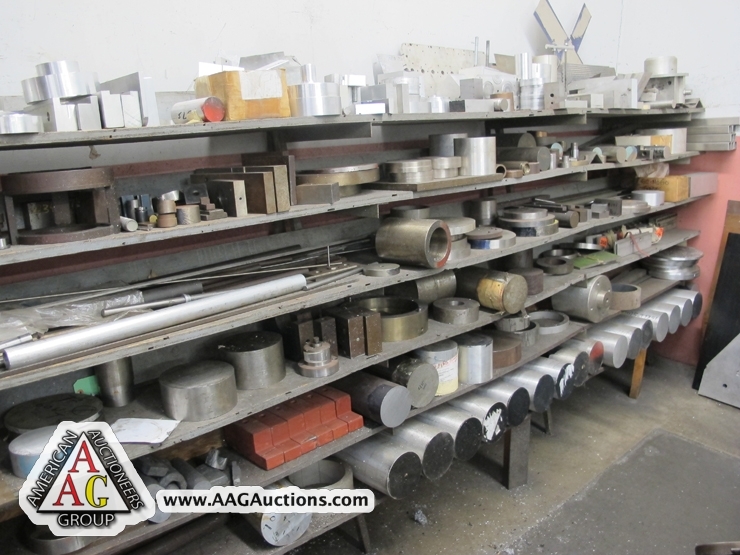 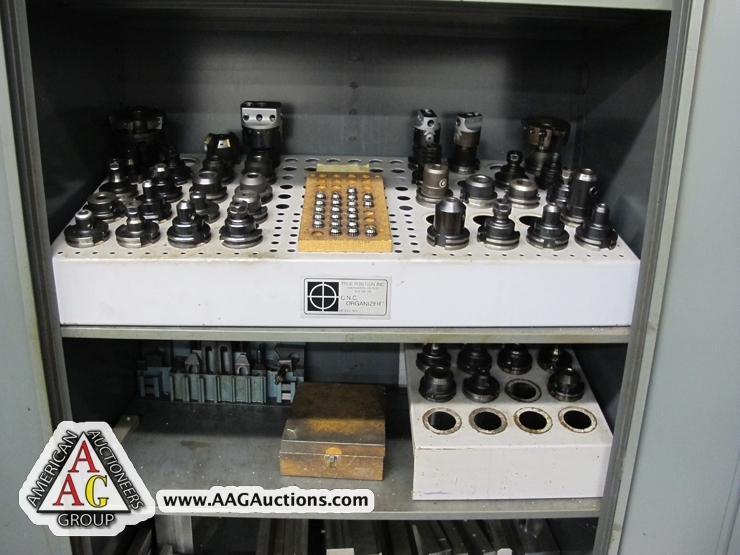 GAGES, CALIPERS, MICS, TOOLING, ANGLE BLOCKS, PIN GAGES, JOE BLOCKS, AND ETC. 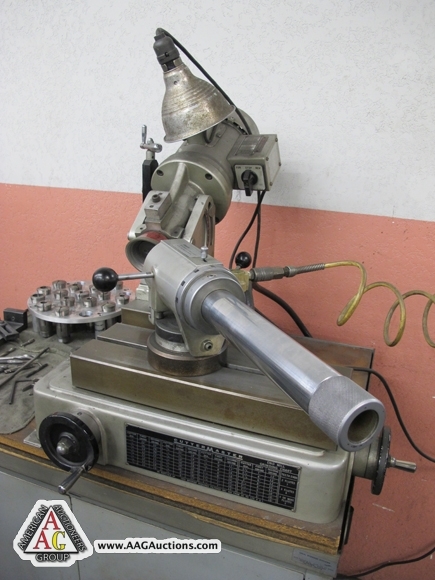 CUTTERMASTER HDT-30 END MILL SHARPENER. 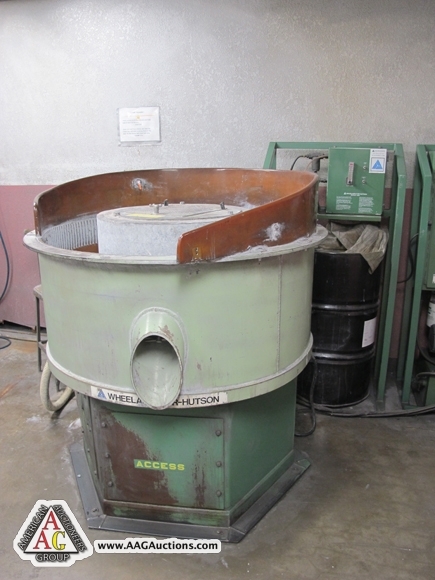 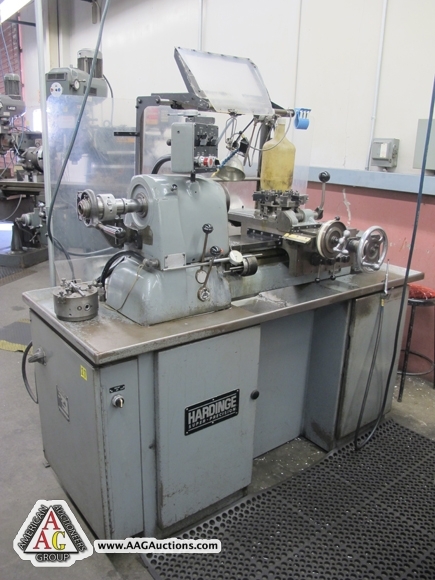 HARVEL 8 X 12 SURFACE GRINDER. 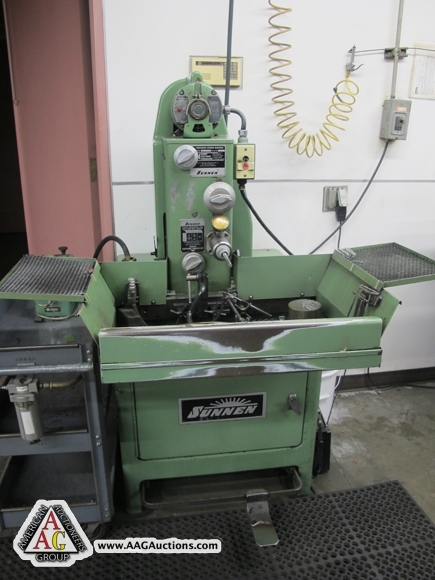 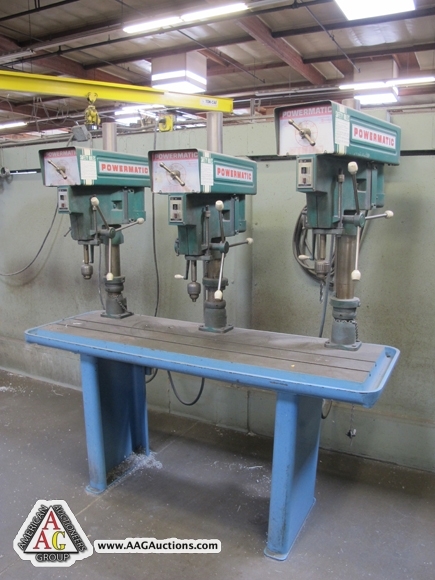 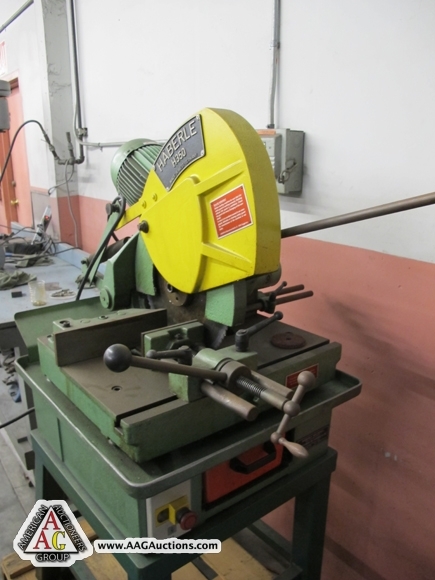 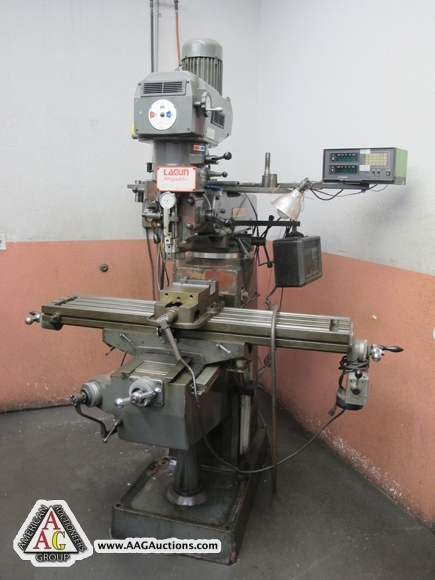 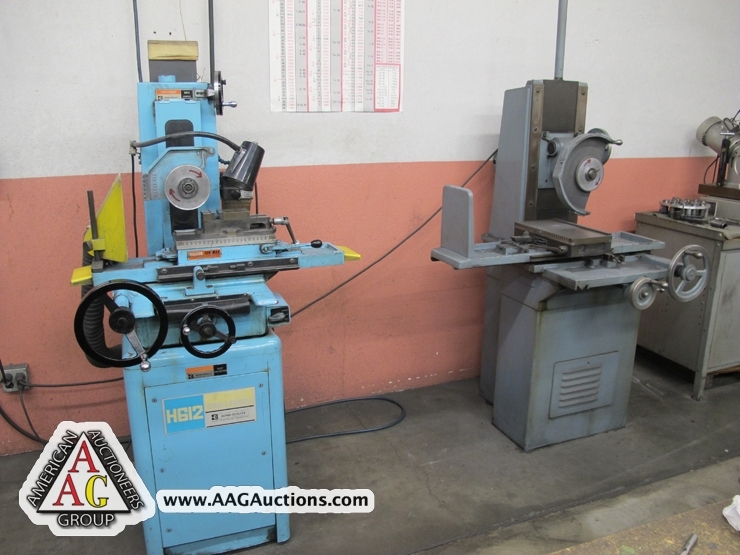 2) SUNNEN HONE MBB 1660 HONING MACHINES WITH MANDRELS AND GAGES, S/N 88656, 88610. 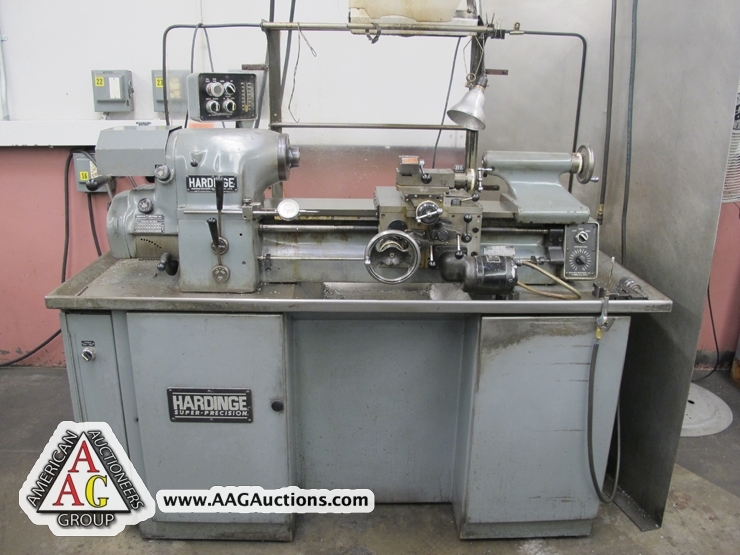 HARBERLE H350, 14’’ COLD SAW. 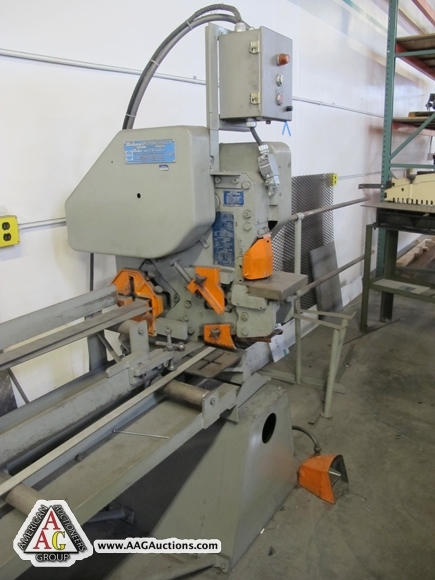 BROBO SUPER 300 COLD SAW. 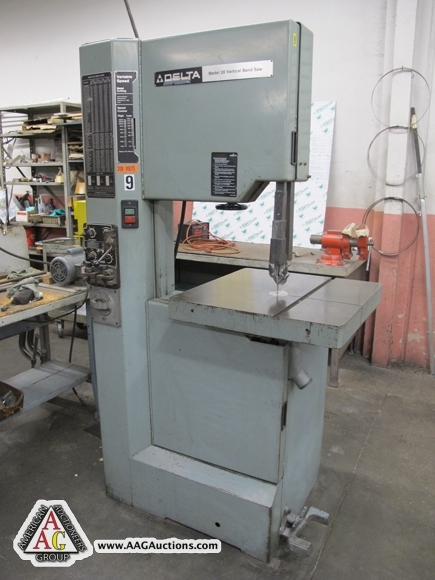 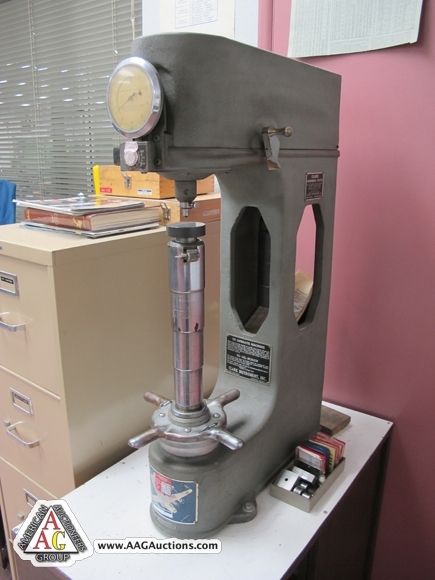 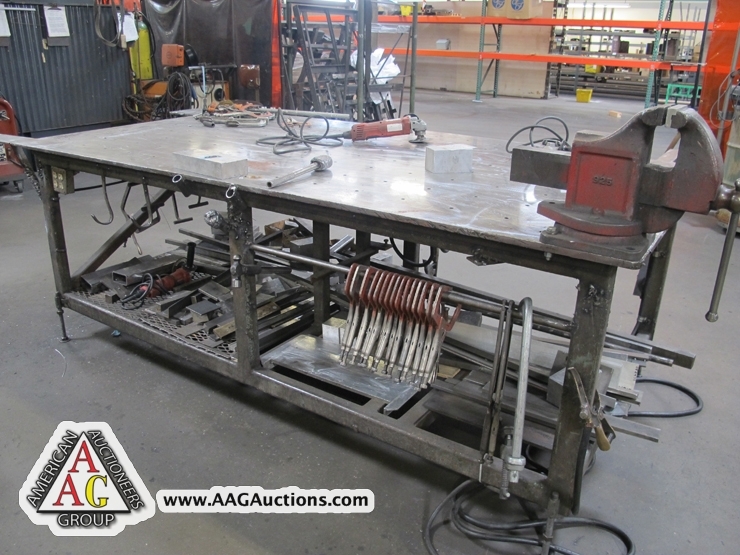 DELTA MODEL 20, 20’’ VERTICAL BAND SAW WITH WELDER. 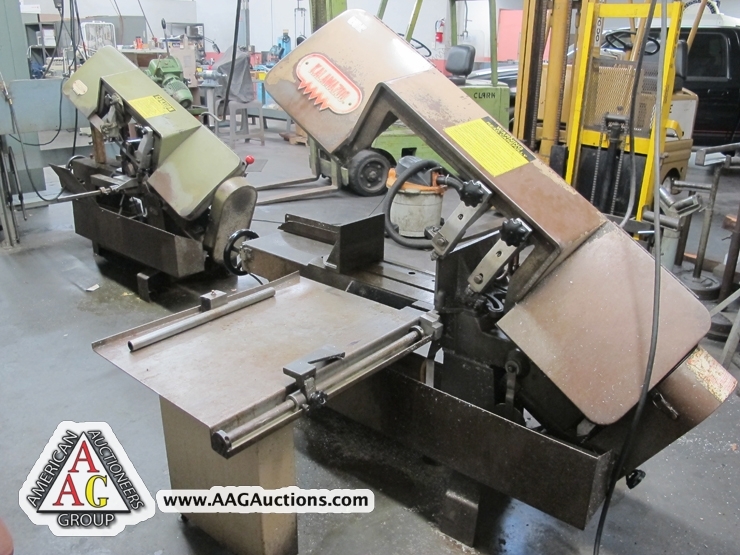 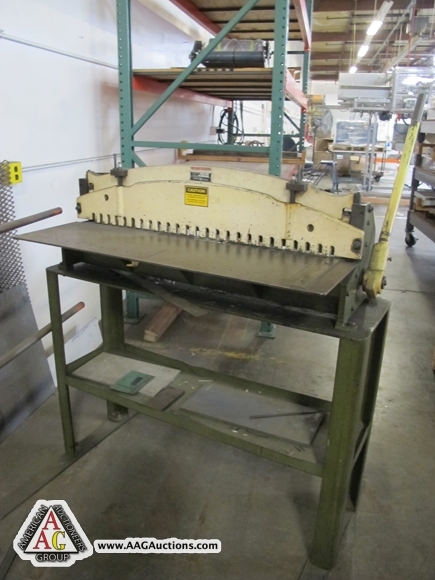 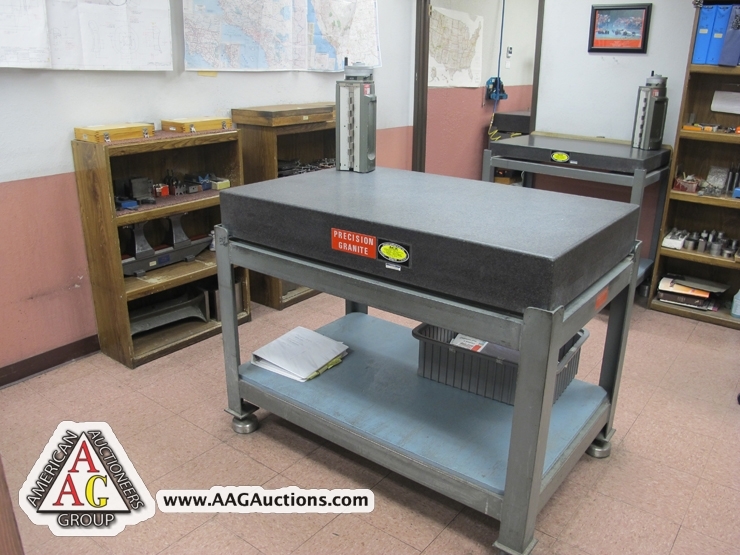 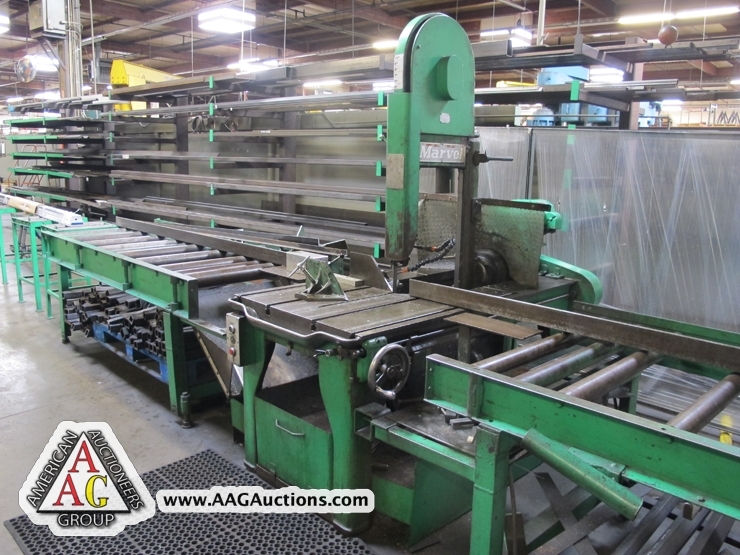 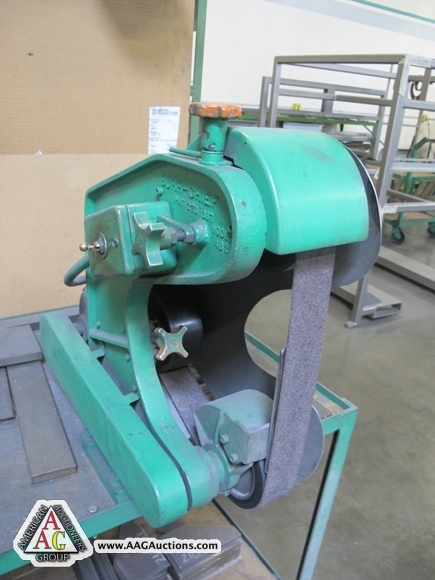 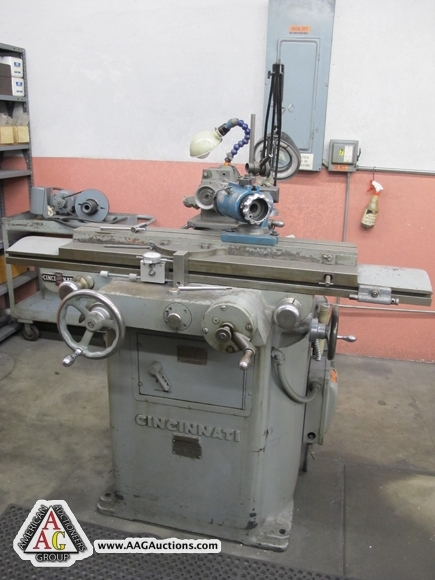 2) KALAMAZOO H9AW, 9’’ HORIZONTAL BAND SAW. 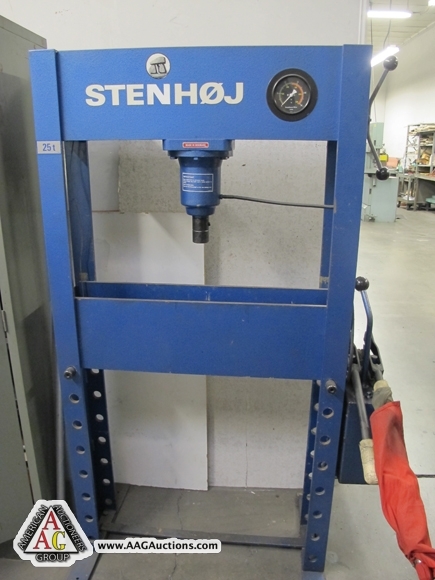 STENHOJ 25 TON HYDRAULIC H FRAME PRESS. 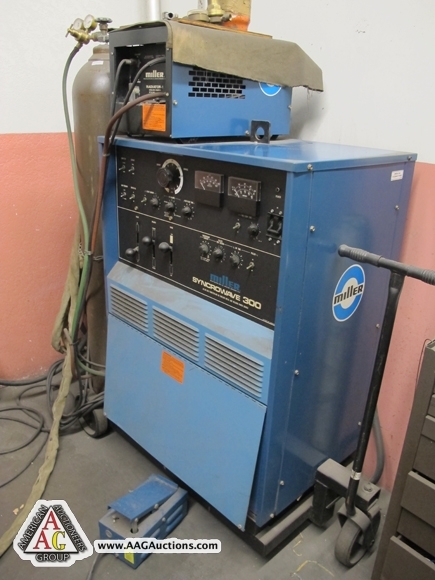 MILLER SYNCROWAVE 300 TIG WELDER. 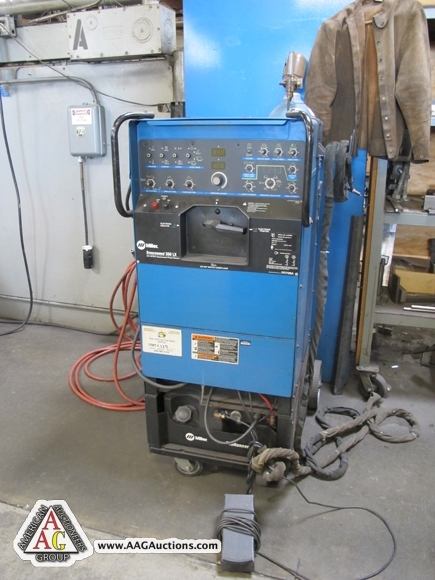 LINCOLN SP 150 MIG WELDER. 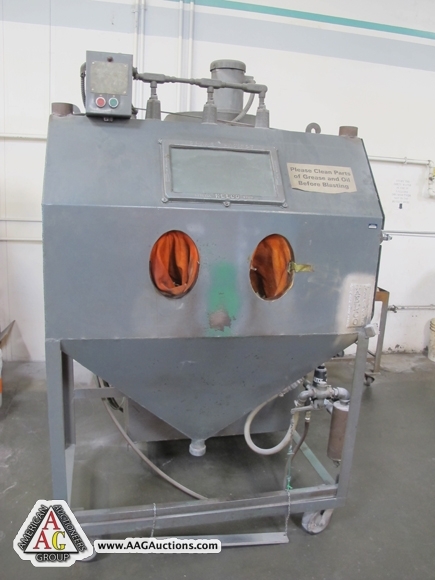 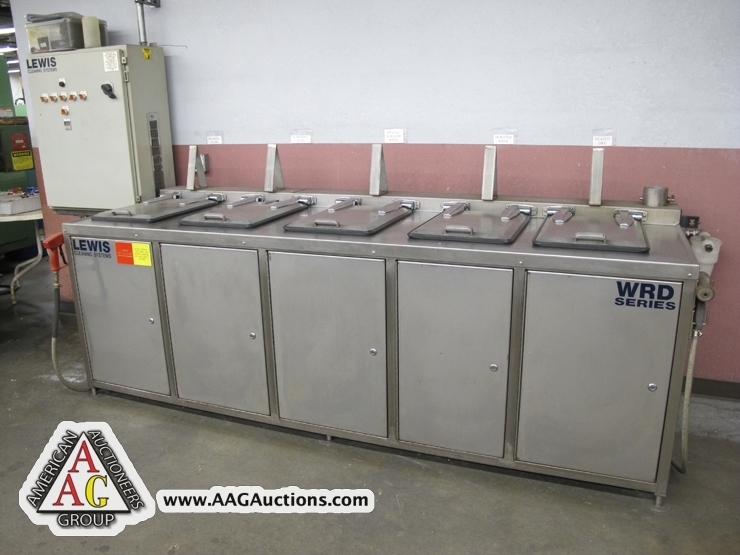 LEWIS MODEL WWRRD 201SP, ULTRASONIC 5 STAGE CLEANING SYSTEM, S/N 5089. 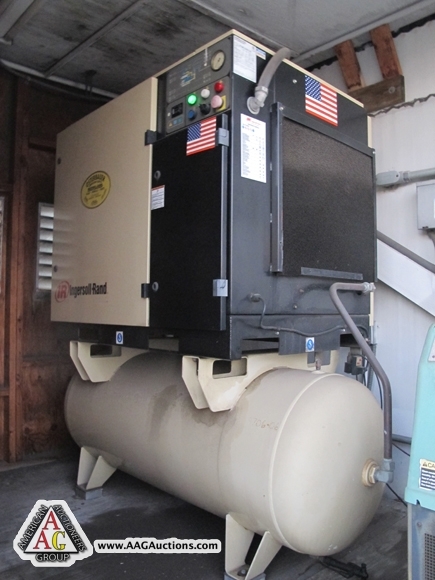 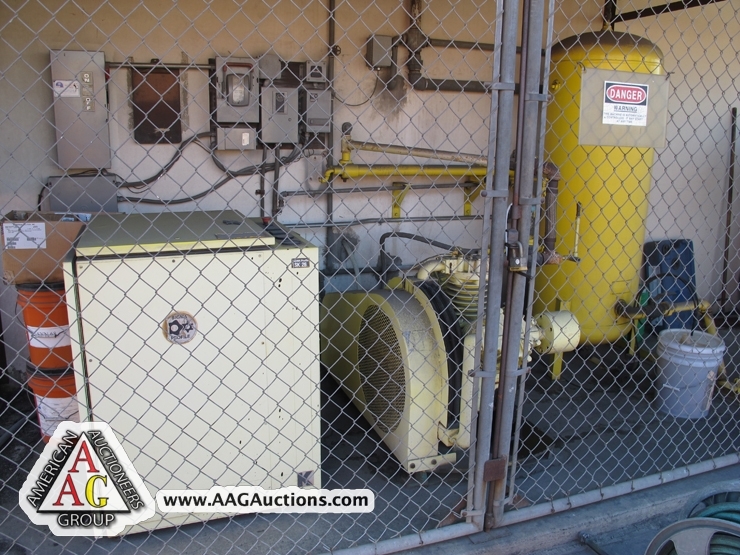 IR SSR-UP6-25-125, 25 HP ROTARY AIR COMPRESSOR, 24,000 HOURS, S/N PX0019402126. 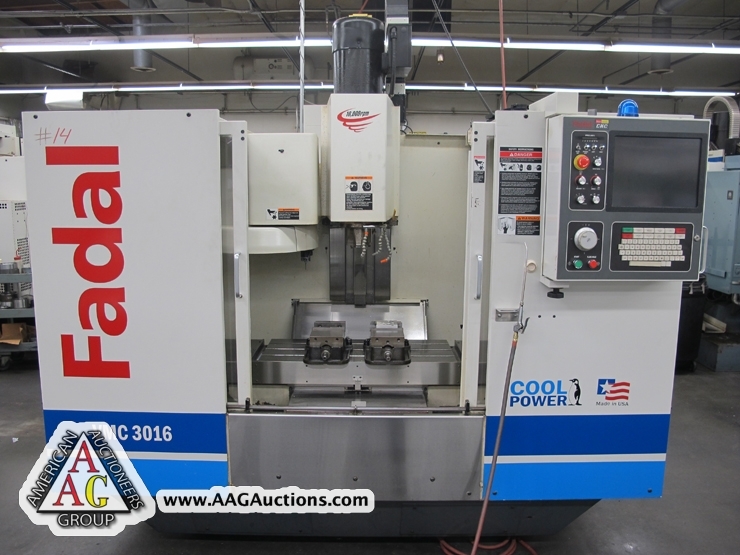 1992 FADAL 4020HT CNC VMC, CT 40, 20 ATC, S/N 9206286. 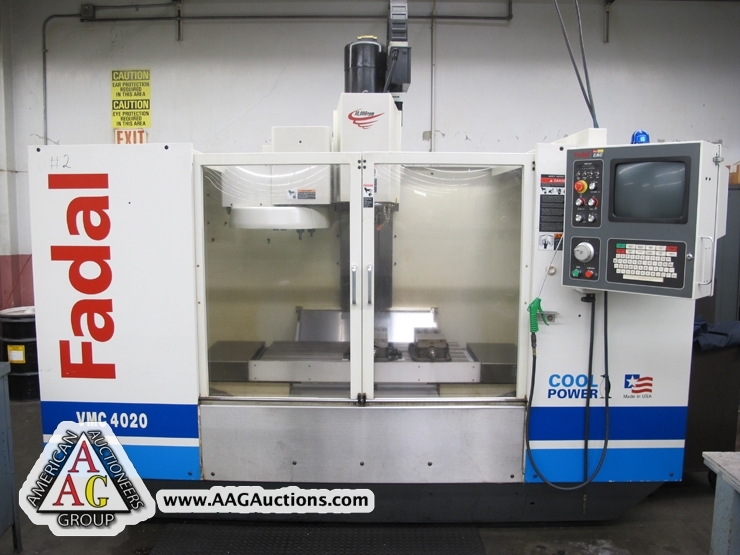 1991 FADAL 4020HT CNC VMC, CT 40, 20 ATC, S/N 9108510. 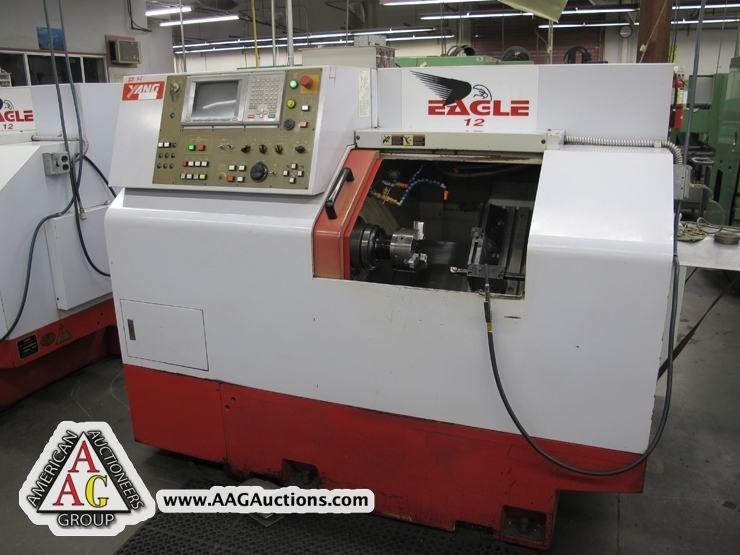 1991 FADAL 4020HT CNC VMC, CT 40, 20 ATC, S/N 9108511. 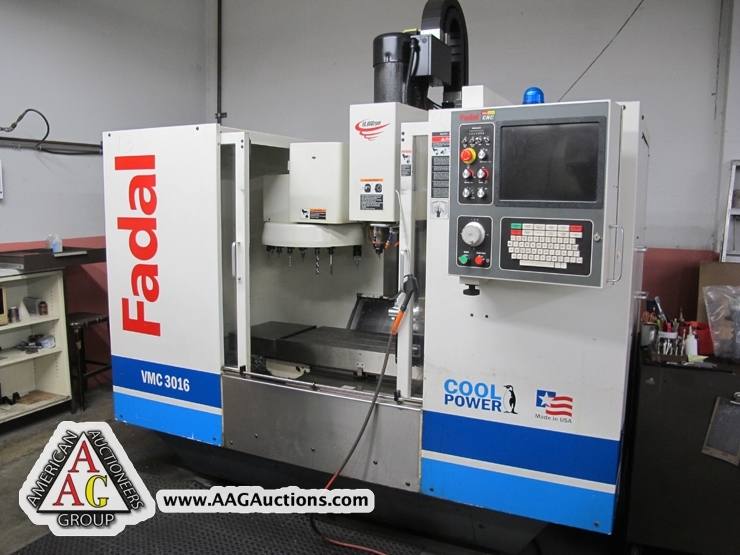 1990 FADAL 4020HT CNC VMC, CT 40, S0 ATC, S/N 9004144. 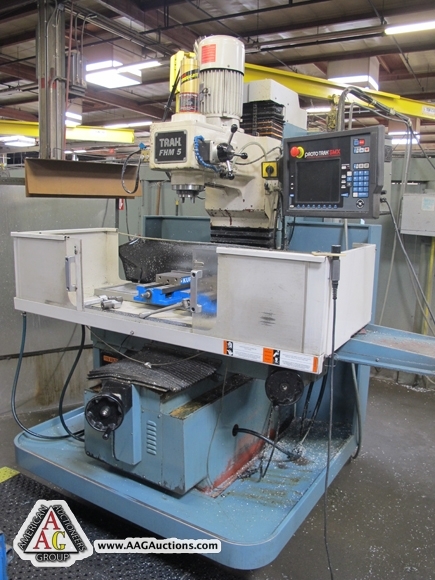 1989 FADAL 6030 CNC VMC, CT 40,20 ATC, S/N 8912852. 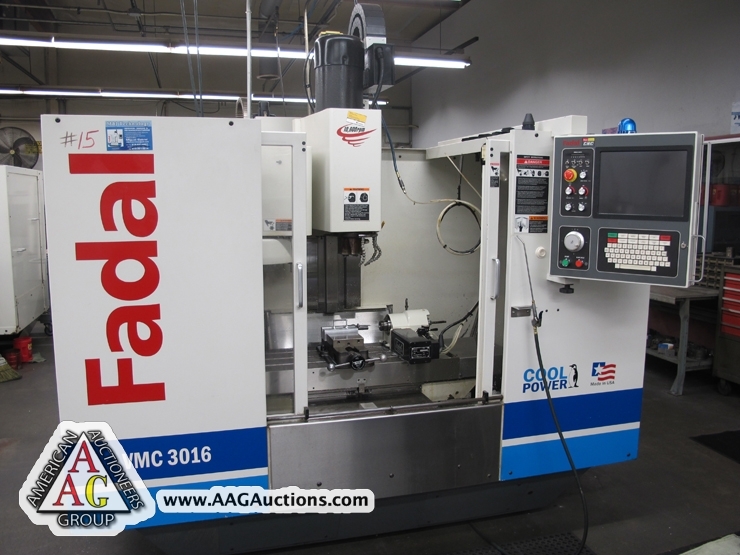 1989 FADAL 4020HT CNC VMC, CT 40, 20 ATC, S/N 8903241. 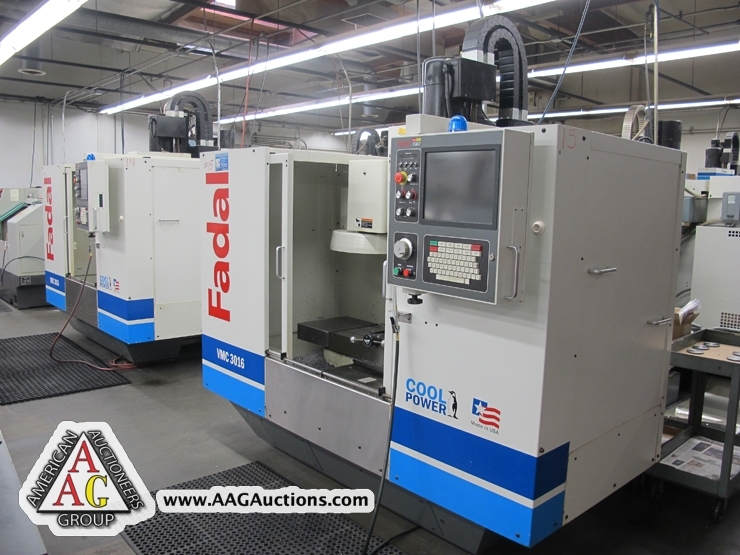 1989 FADAL 4020HT CNC VMC, CT 40, 20 ATC, S/N 8903242. 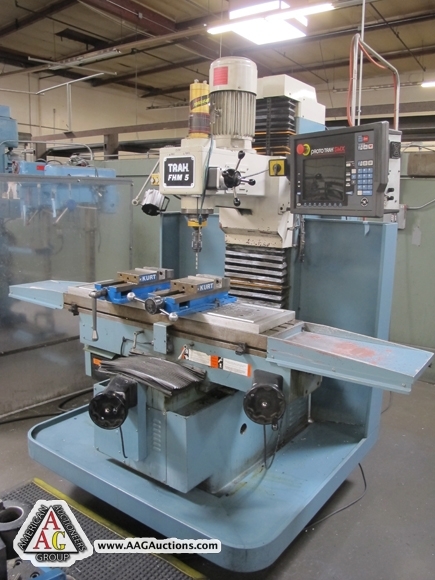 1989 FADAL 4020HT CNC VMC, CT 40, 20 ATC. 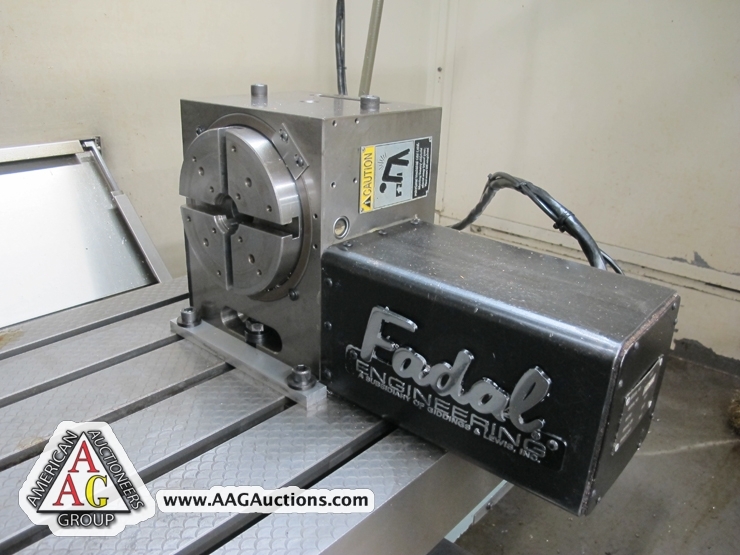 3) FADAL VH65 4TH AXIS ROTARY TABLE. 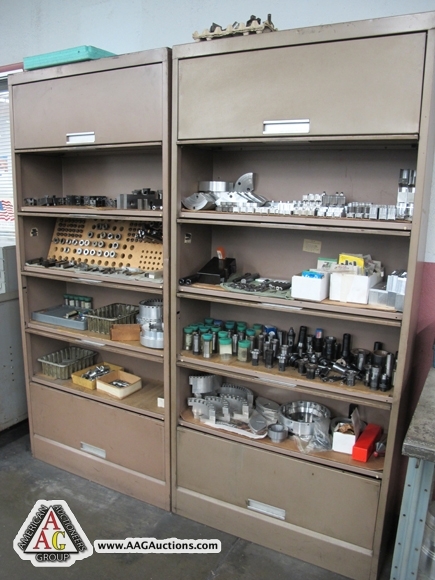 / FADAL VH 5C 5C COLLET INDEX TABLE. 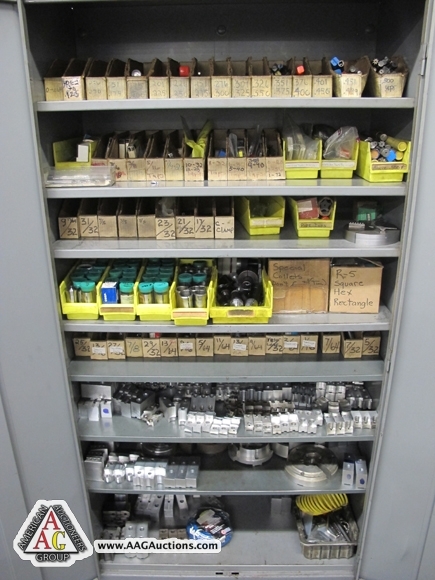 100’S OF CT 40 TOOL HOLDERS, SPRING COLLETS, AND SUPPORT. 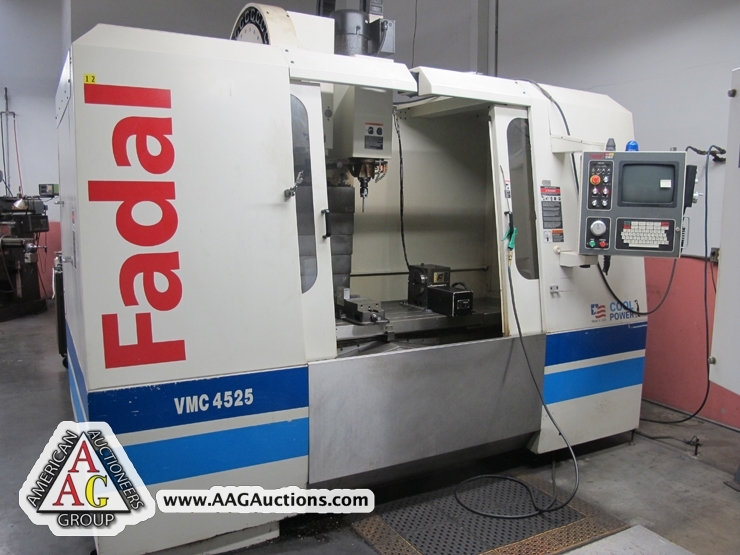 2002 FADAL VMC 4525 CNC VMC, CT 40, 24 ATC, 10,000 RPM, SIDE MOUNT TOOL CHANGER, RE MAN, S/N 032002034157. 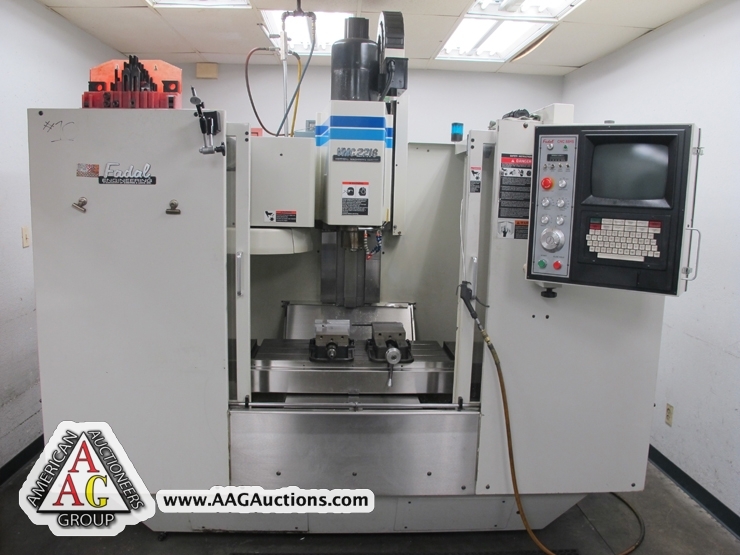 2004 FADAL 3016HT CNC VMC, CT 40, 20 ATC, 10,000 RPM, S/N 032004036138. 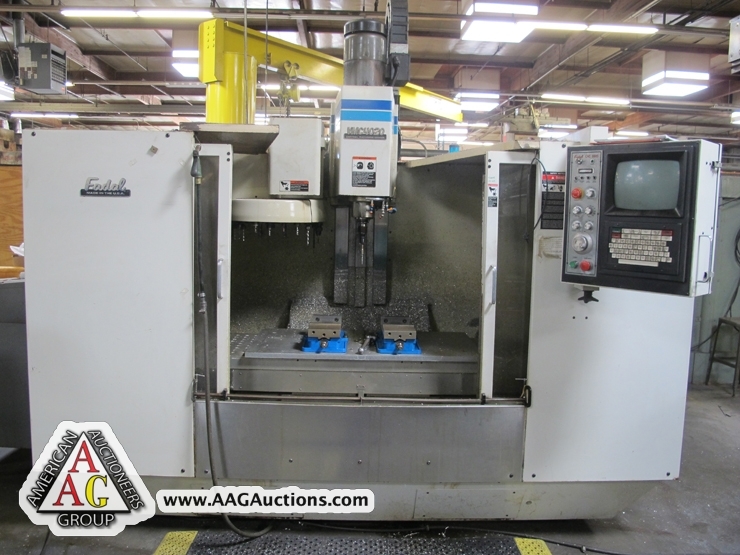 2004 FADAL 3016HT CNC VMC, CT 40, 20 ATC, 10,000 RPM, S/N 032004036137. 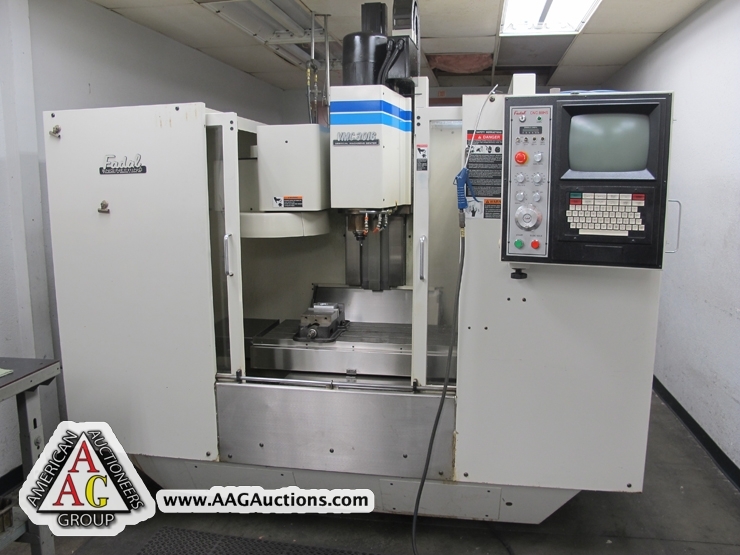 2004 FADAL 3016HT CNC VMC, CT 40, 20 ATC, 10,000 RPM, S/N 032004036136. 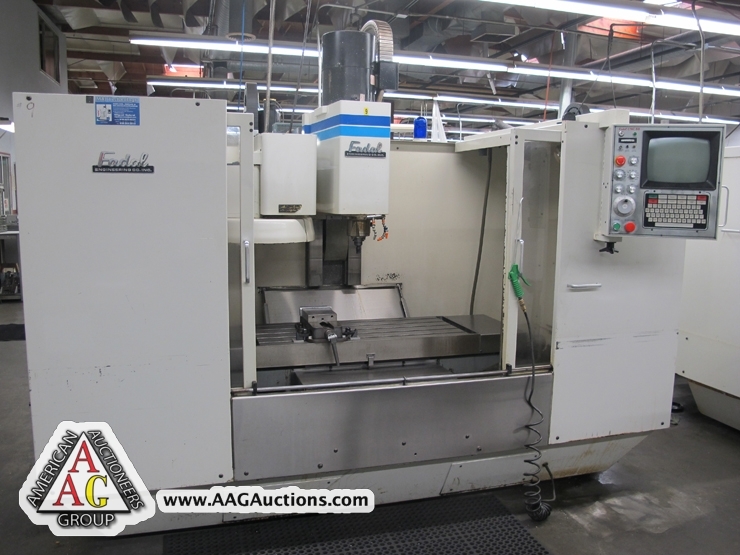 2002 FADAL 4020 CNC VMC, CT 40, 20 ATC, 10,000 RPM, S/N 032002034155. 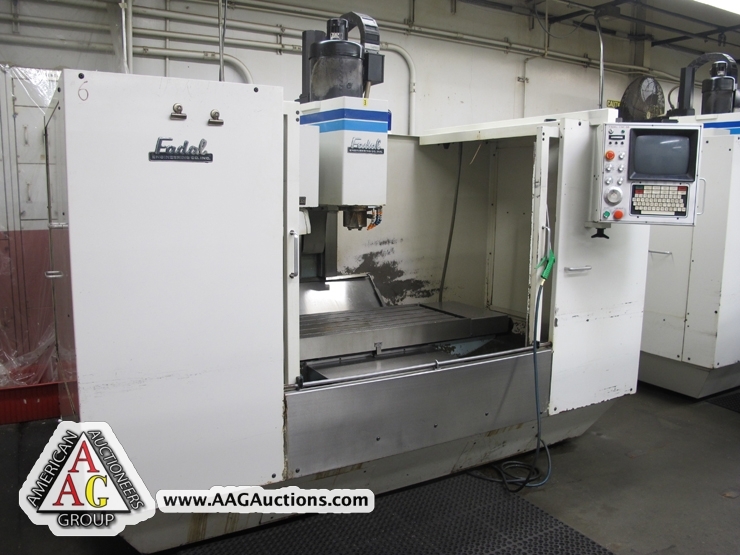 1998 FADAL VMC3016 CNC VMC, CT 40, 20 ATC, GLASS SCALES, S/N 9805079. 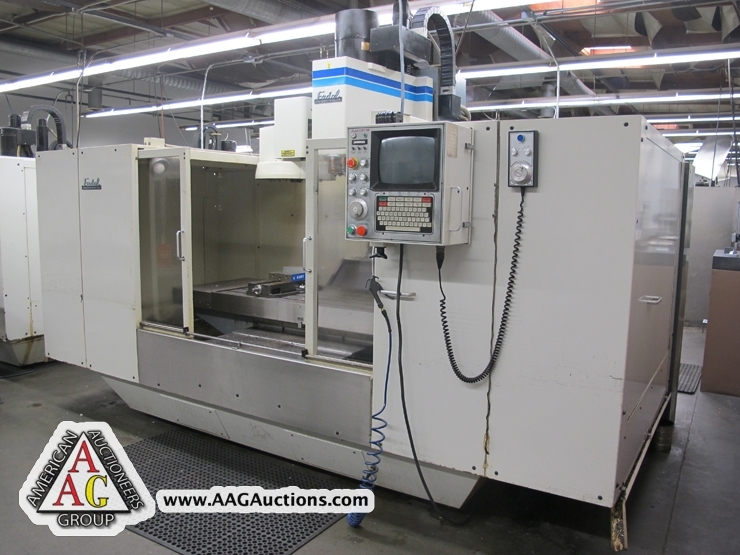 1997 FADAL VMC2216HT CNC VMC, CT 40, 20 ATC, GLASS SCALES, S/N 9704749. 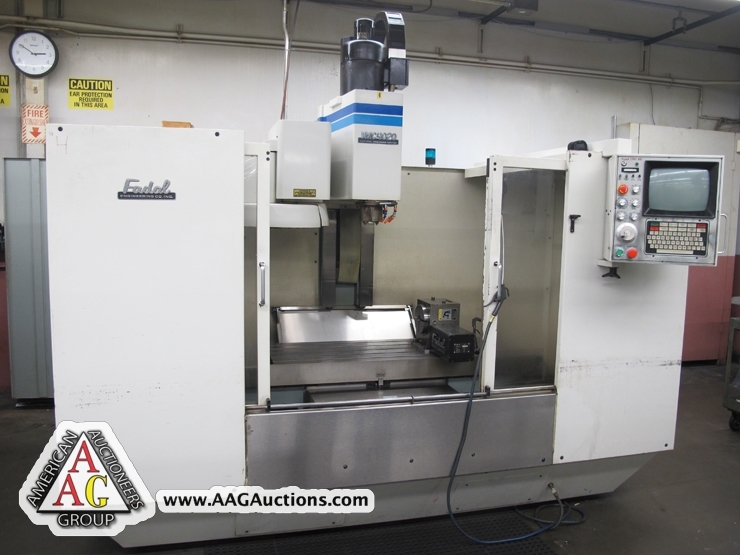 1997 FADAL 4020HT CNC VMC, CT 40, 20 ATC, 10,000 RPM, S/N 9704748. 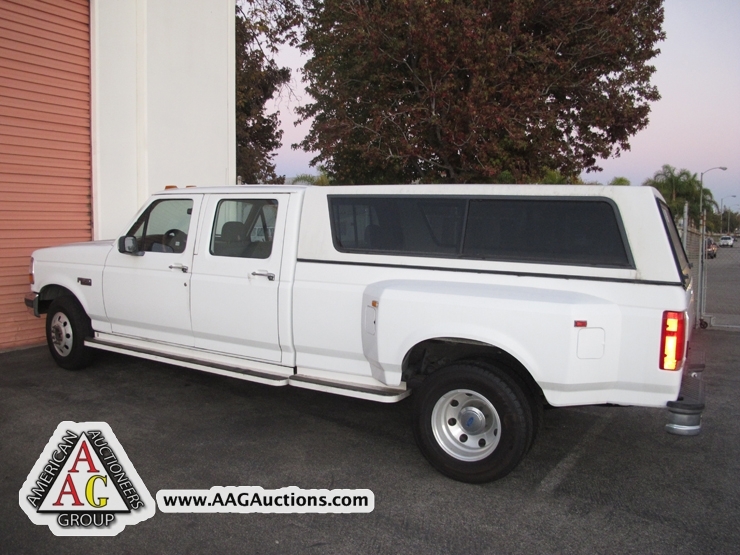 1993 FORD F 350 DYLLY TRUCK, GAS, 4 DOOR. 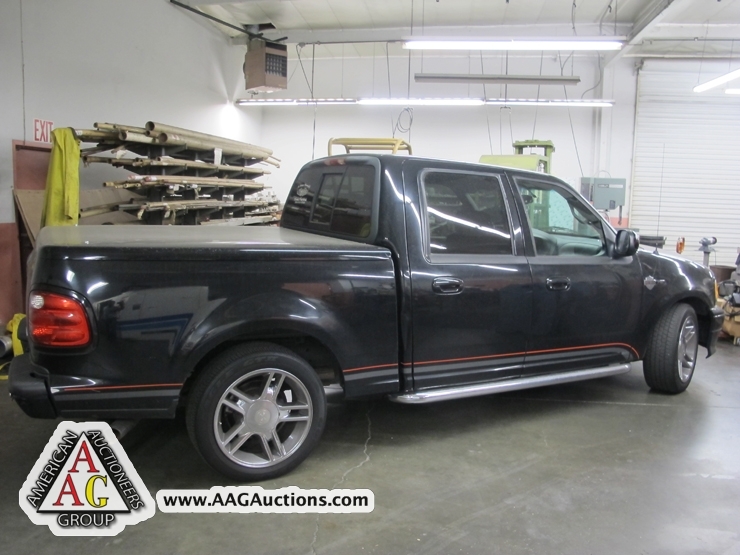 1991 FORD F-150 HARLEY DAVIDSON, 4 DOOR TRUCK, BLACK. 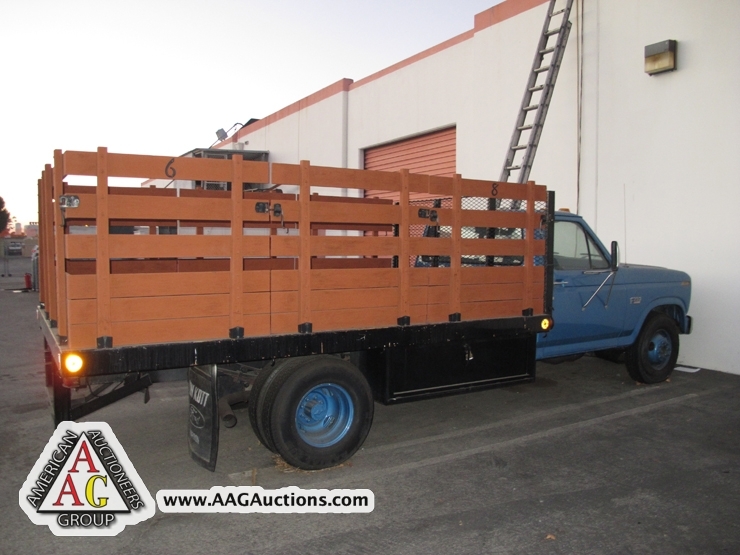 1985 FORD F-350 12 FT STAKE BED TRUCK, GAS. 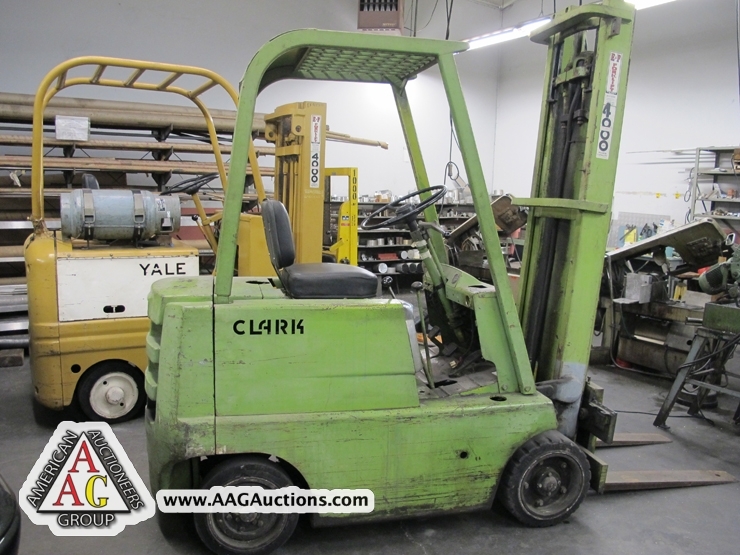 CLARK 4000 LB GAS FORKLIFT, 2 STAGE. 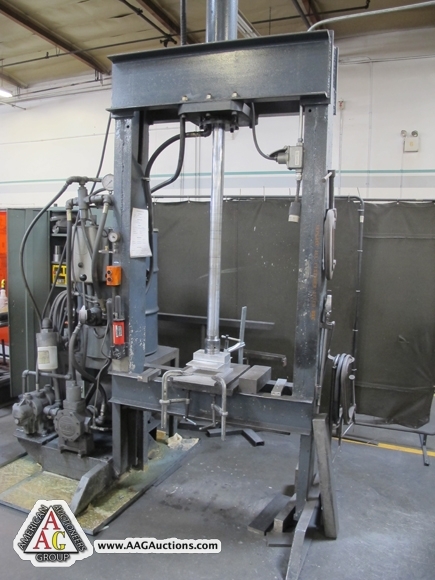 YALE LPG 4000 LB FORKLIFT, 2 STAGE. 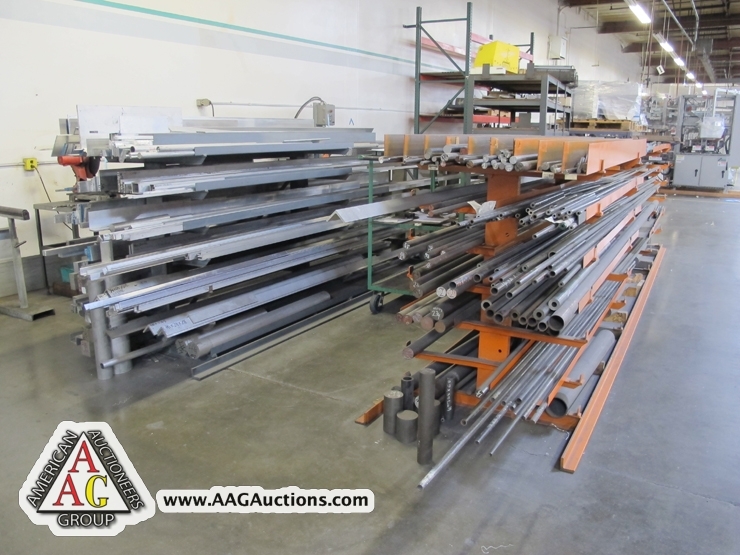 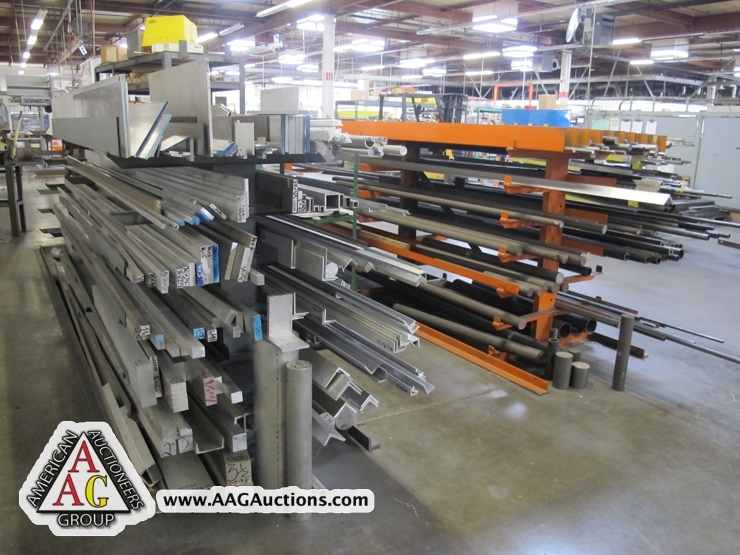 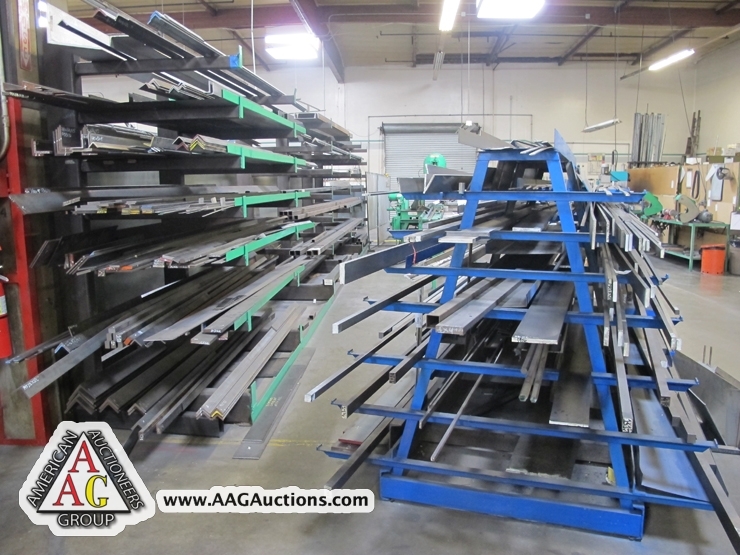 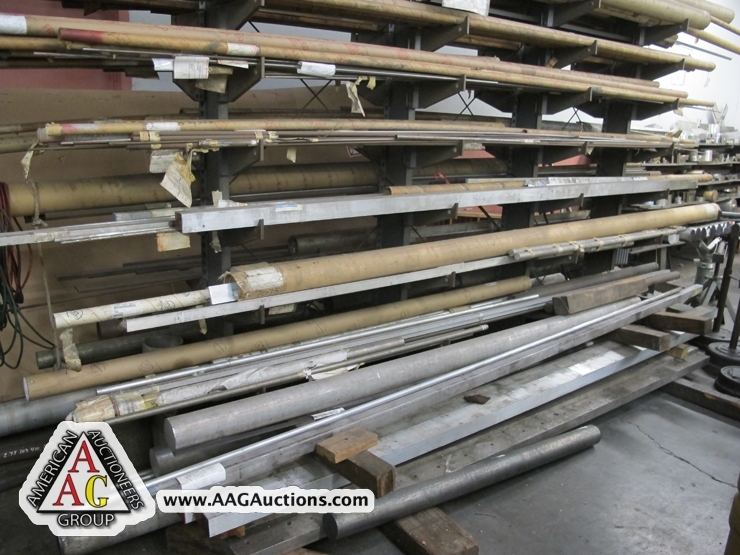 RACKING AND SHELVING, WELDING TABLES, AND CABINETS. 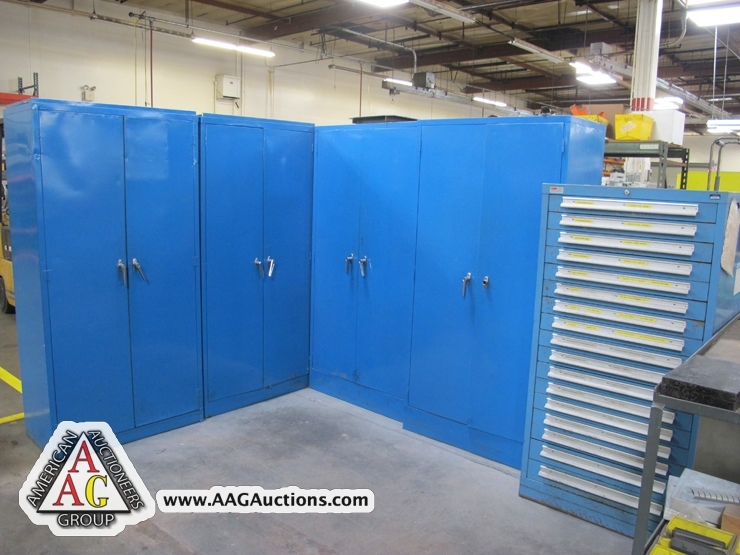 LISTA CABINETS AND OTHER VARIOUS CABINETS. 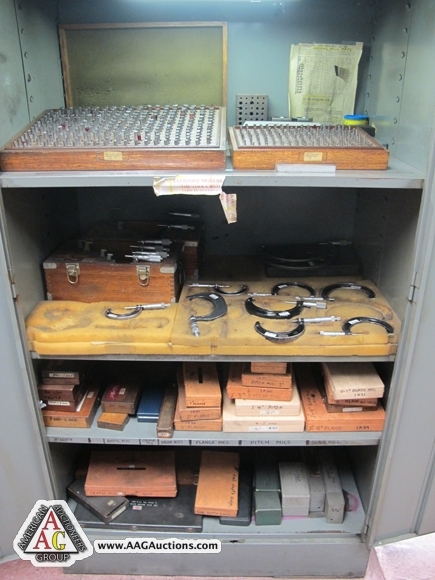 2) MOORE NO. 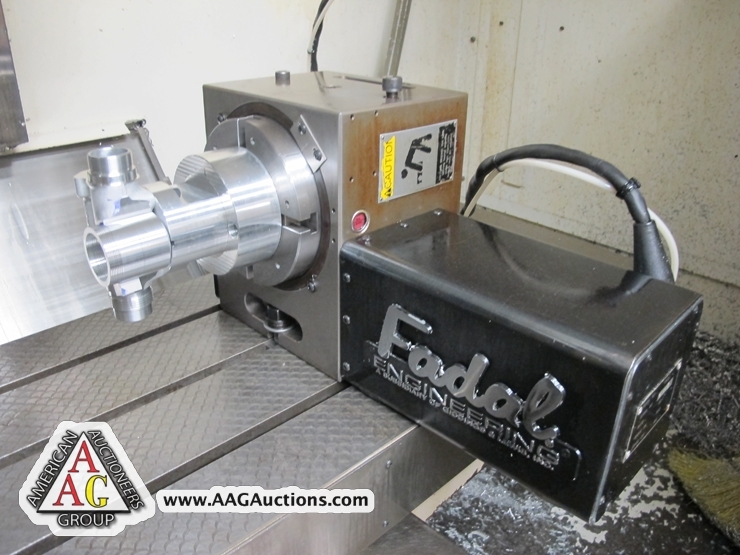 3 PRECISION JIG BORE WITH DRO, S/N B1195, B666. 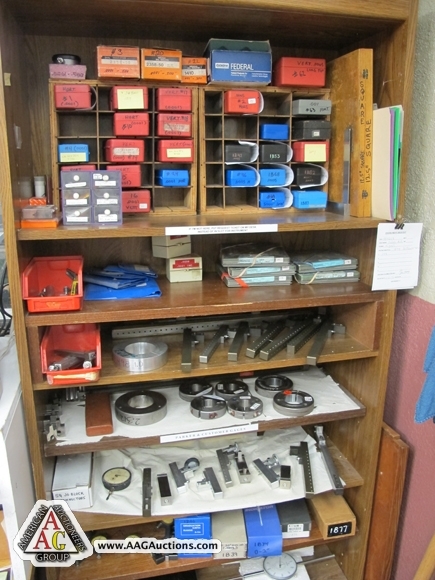 2) MOORE NO. 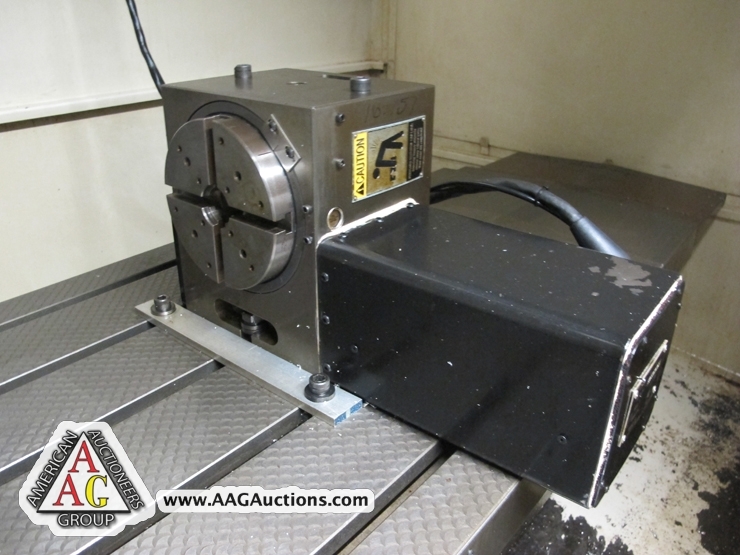 2 PRECISION JIG BORE, WITH DRO, S/N 5755, 5037. 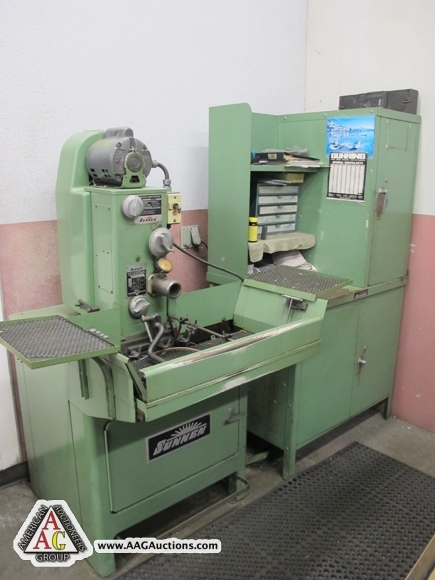 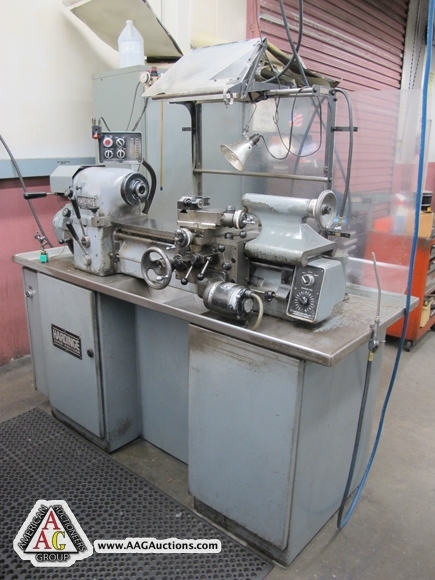 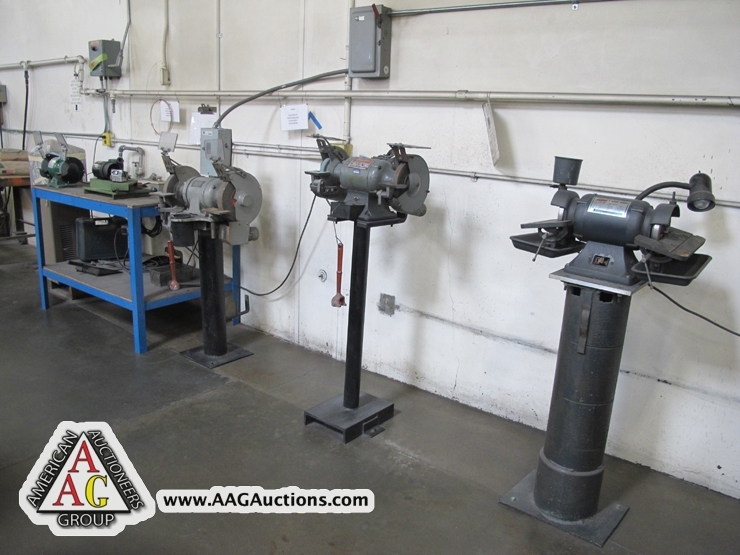 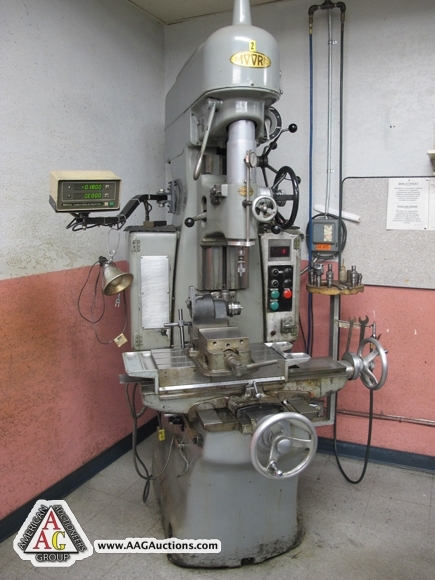 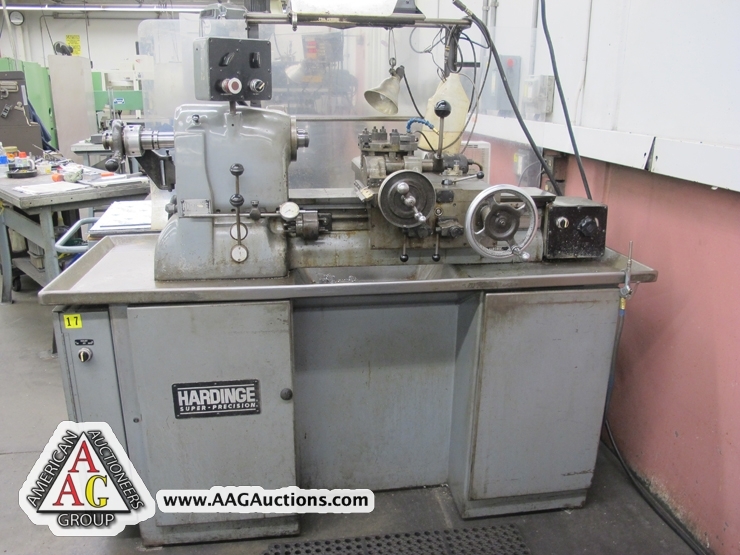 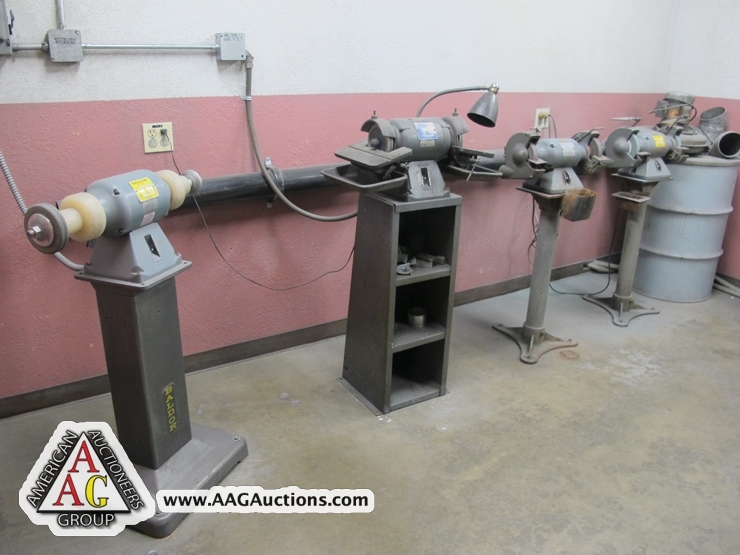 2) HARDINGE HLV-H TOOL ROOM LATHE W/ THREADING, S/N 12290-T AND 10733-T.
3) HARDINGE HC PRECISION CHUCKERS. 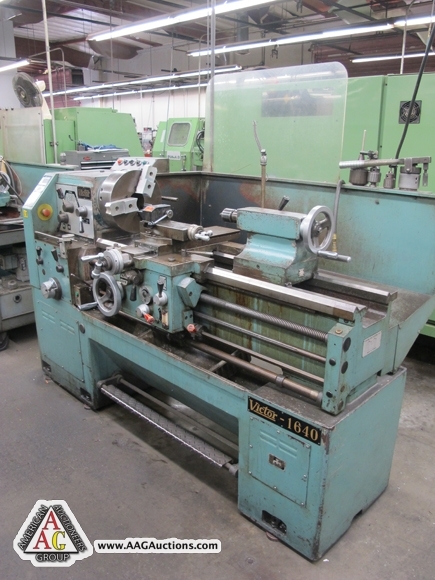 3) VICTOR 1640, 16 X 40 GAP ENGINE LATHES. 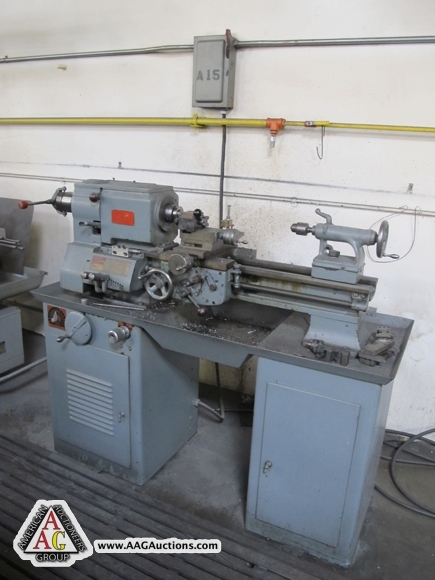 VICTOR 2060, 20 X 60 GAP ENGINE LATHE. 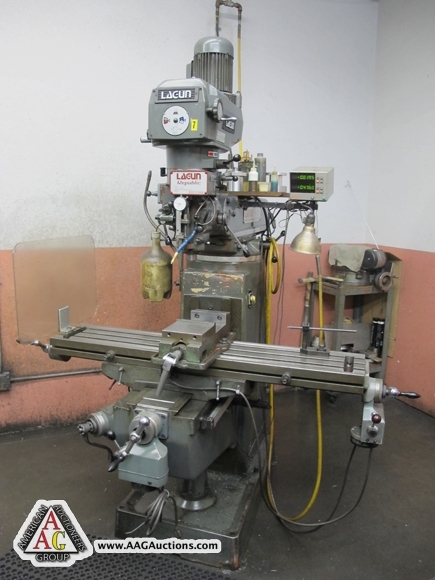 7) LAGUN FTV-2 VERTICAL MILLS WITH DRO AND P.F., VAR SPEED.